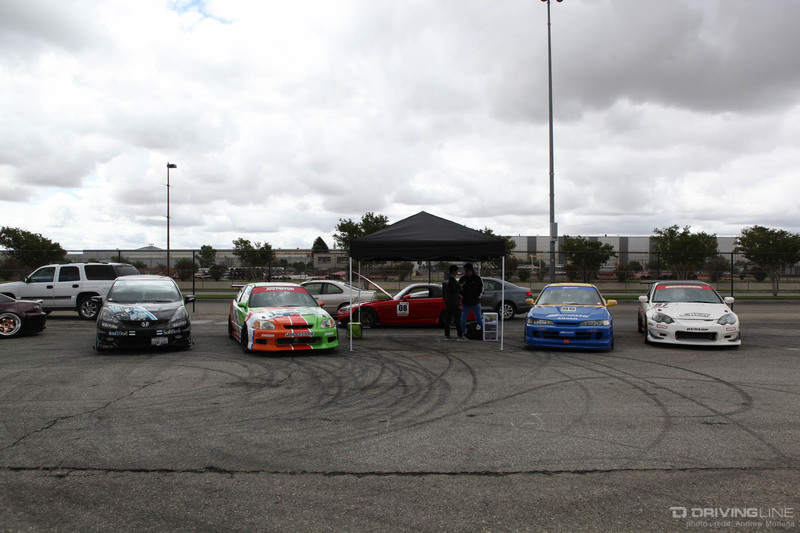 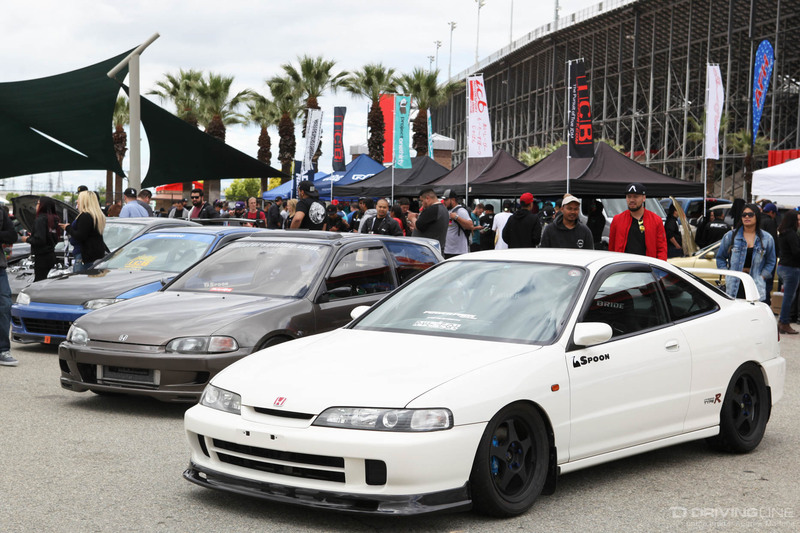 What started off in 2004 as a small meet with about 50 cars in the Eibach Springs parking lot has grown into a much larger event. 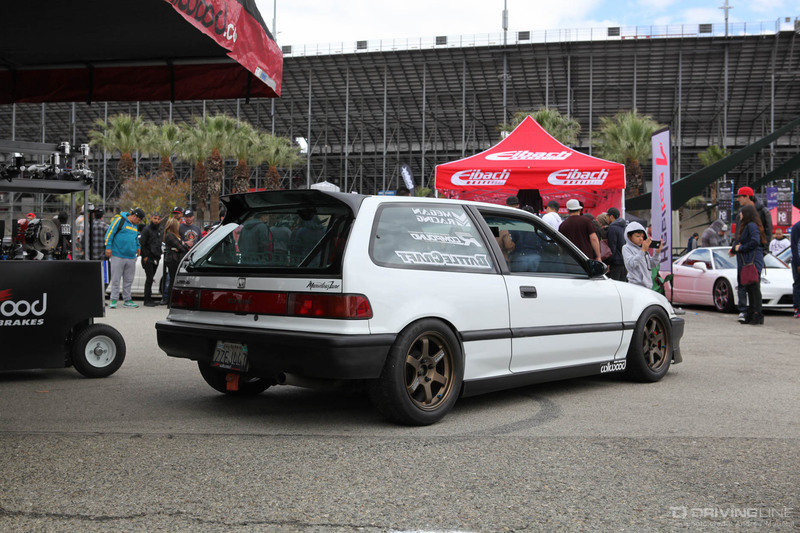 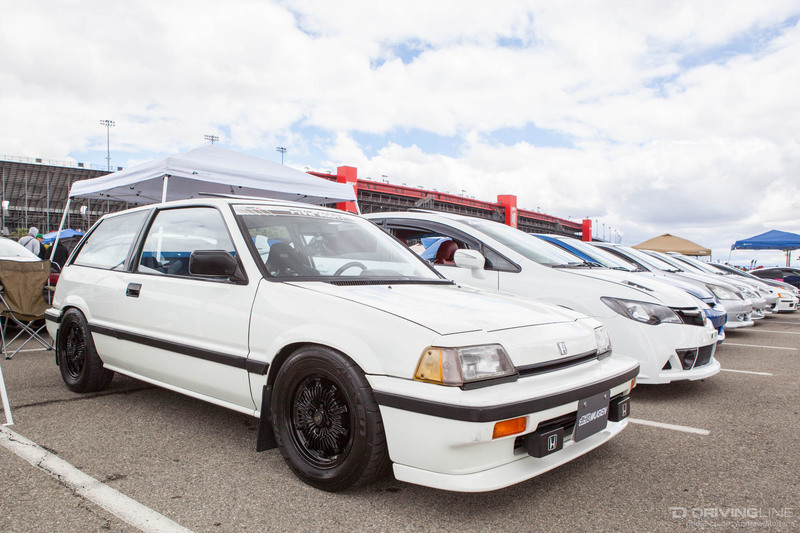 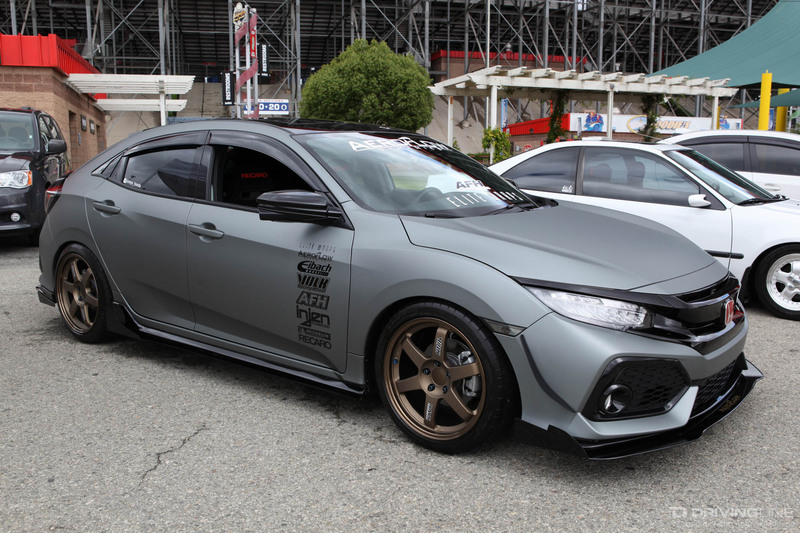 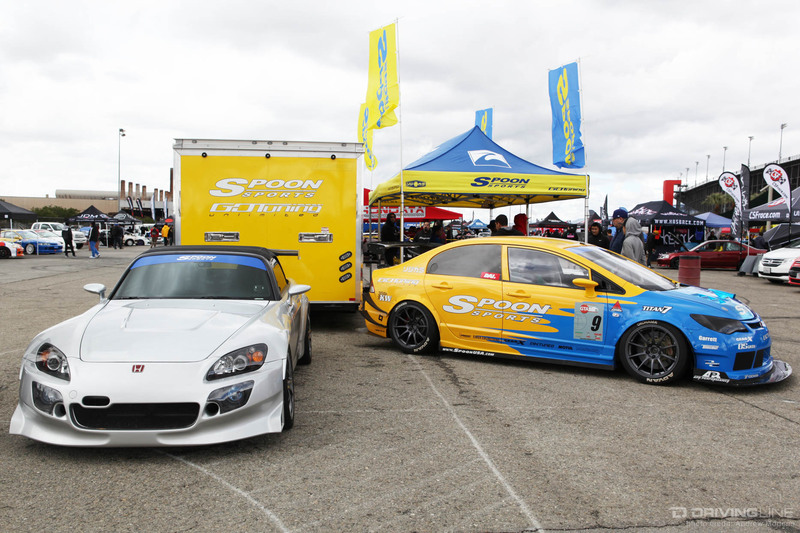 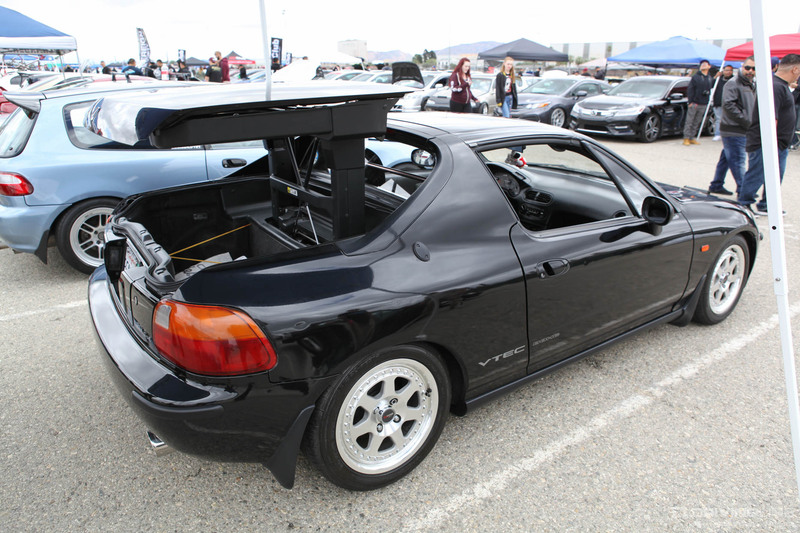 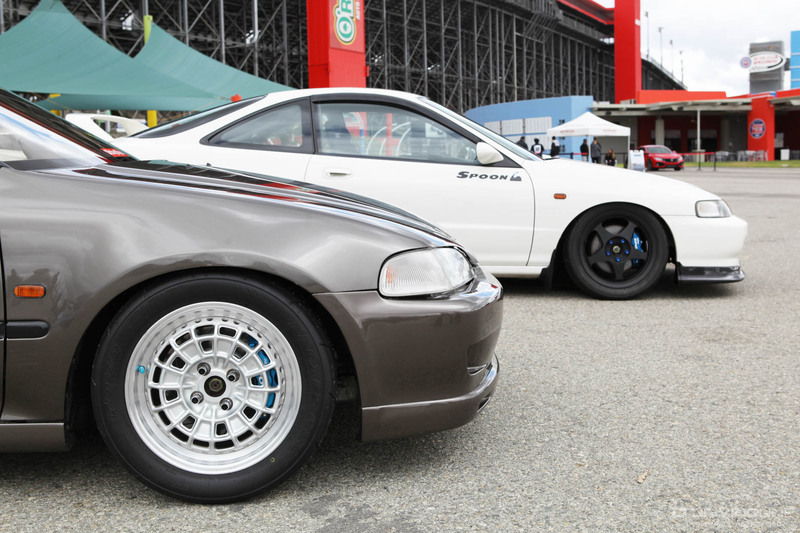 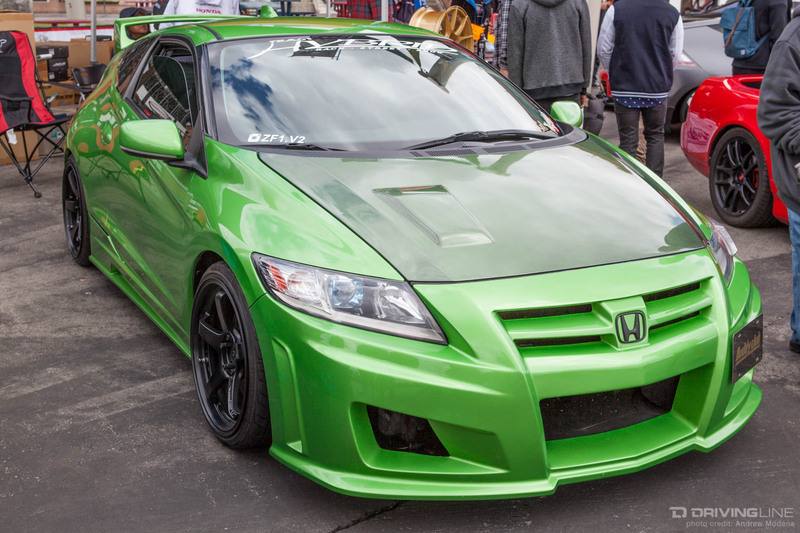 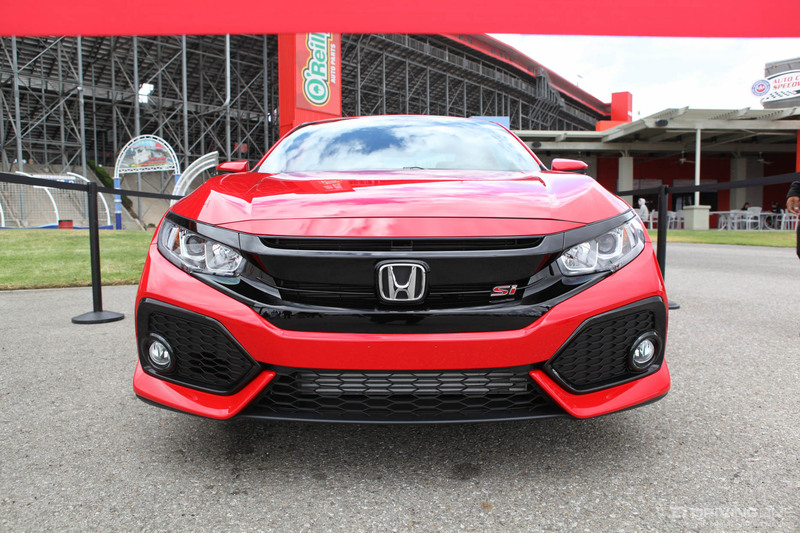 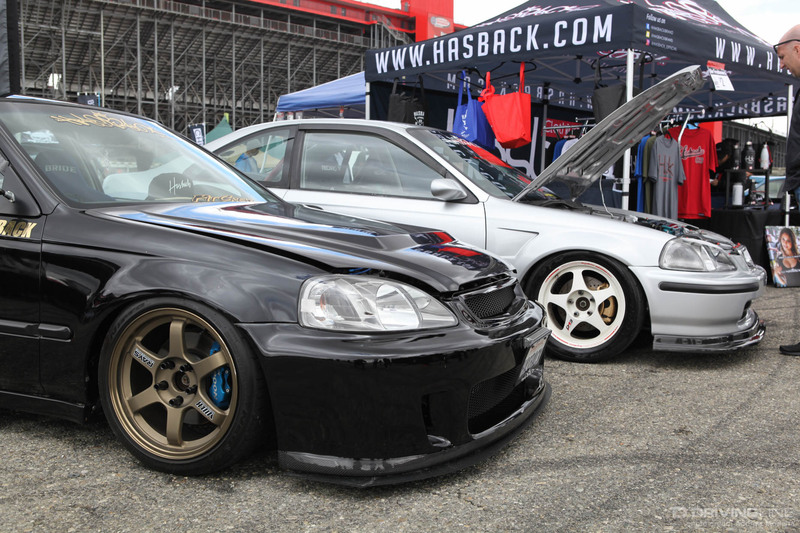 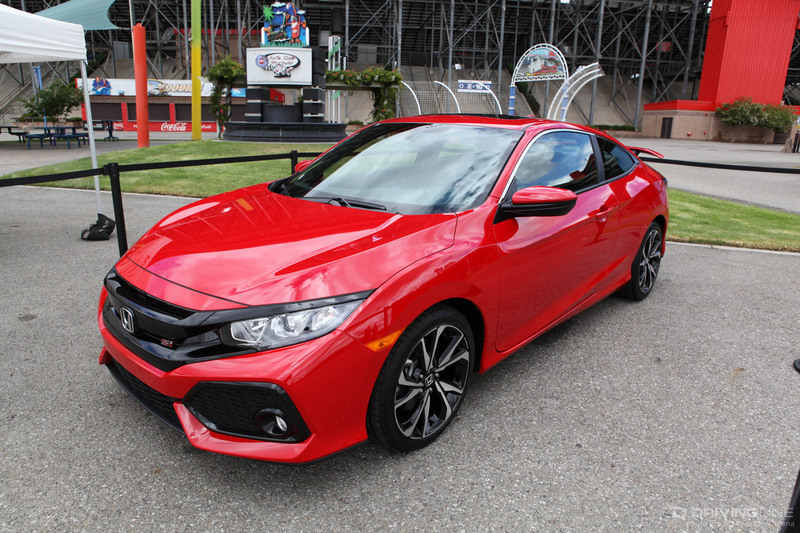 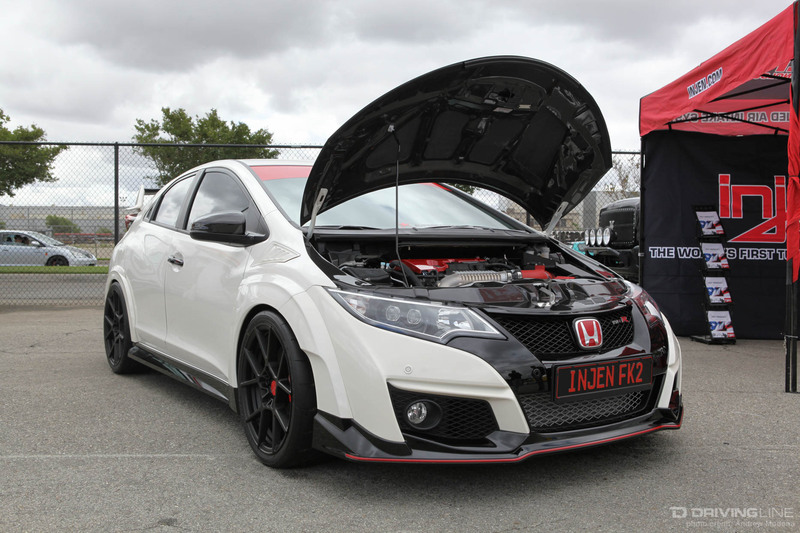 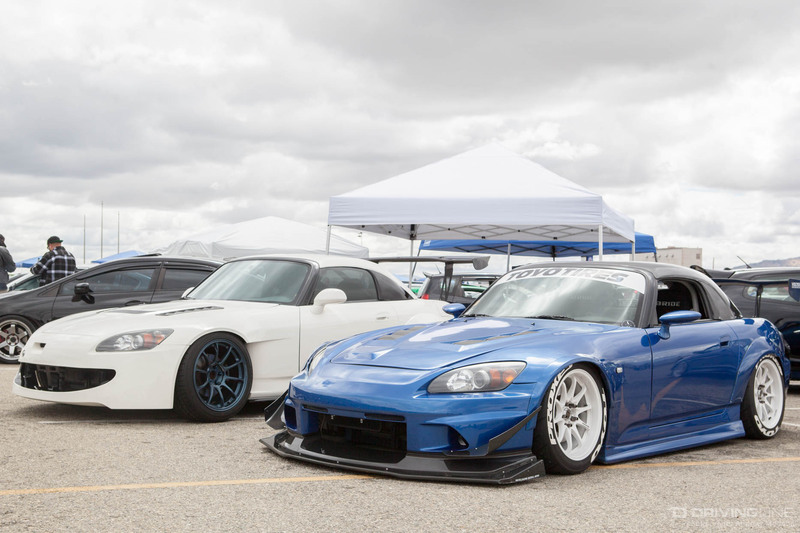 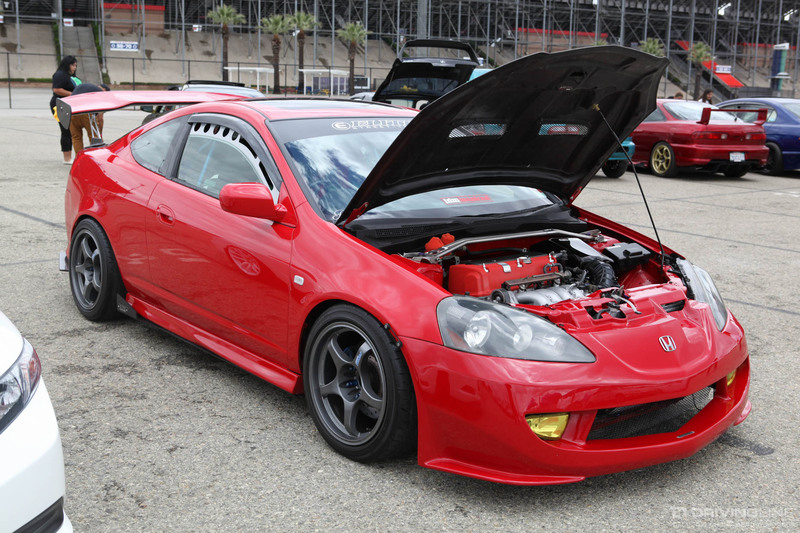 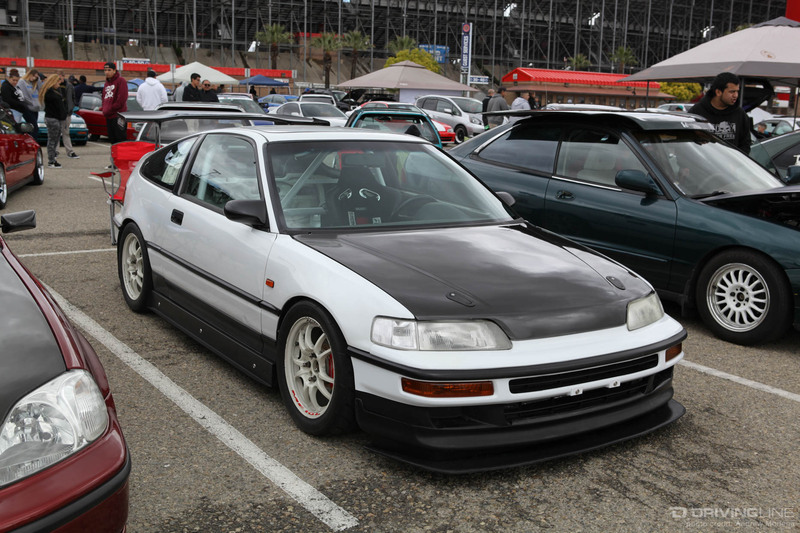 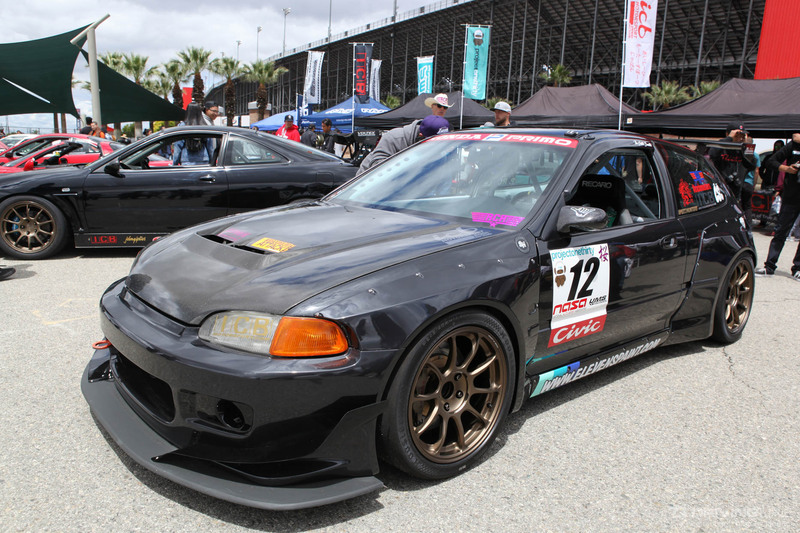 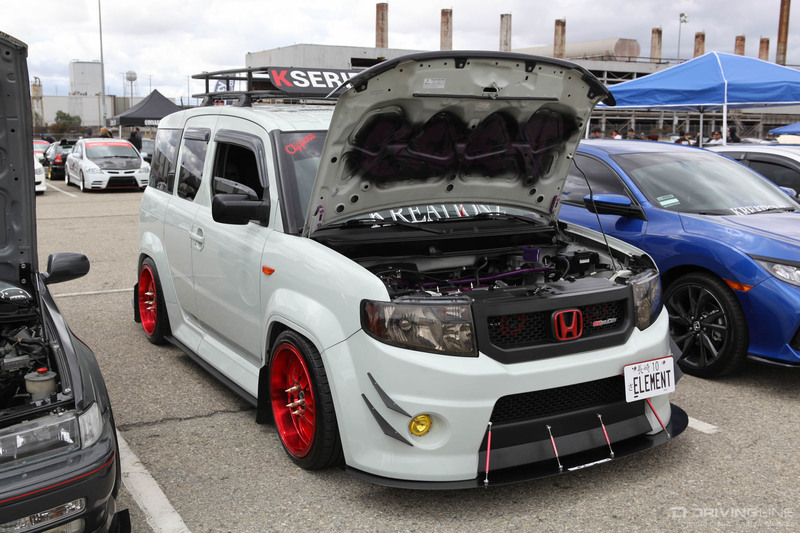 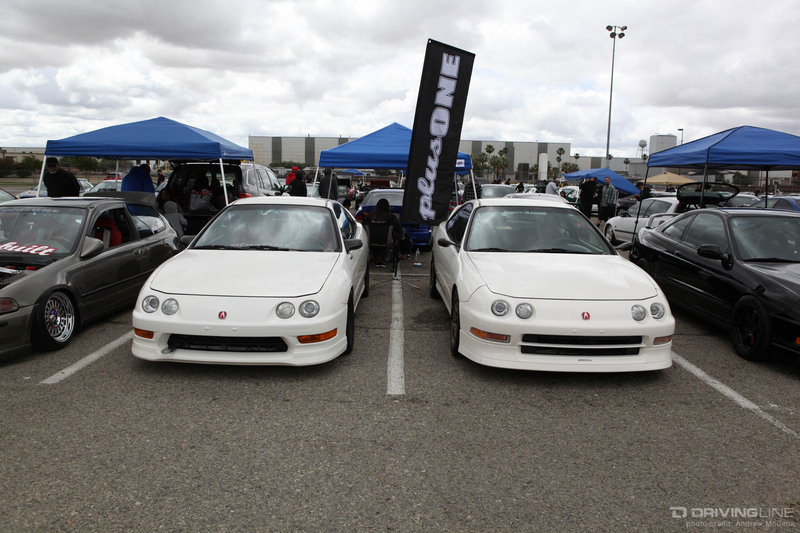 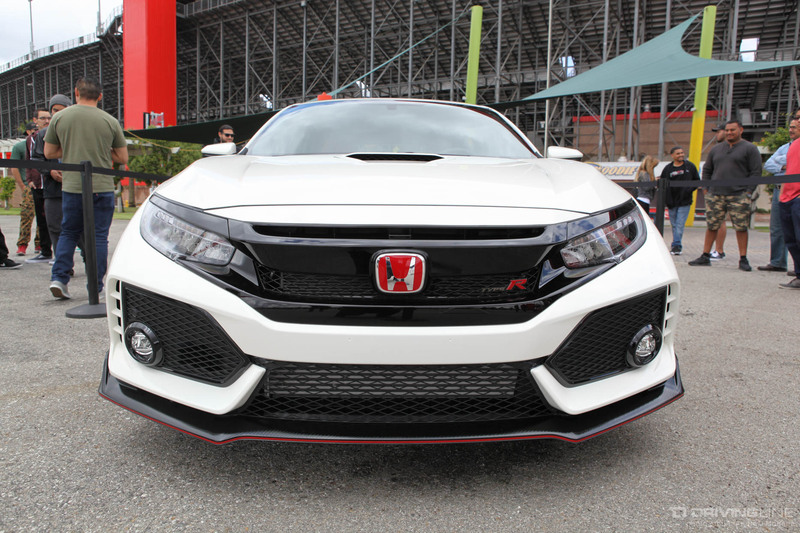 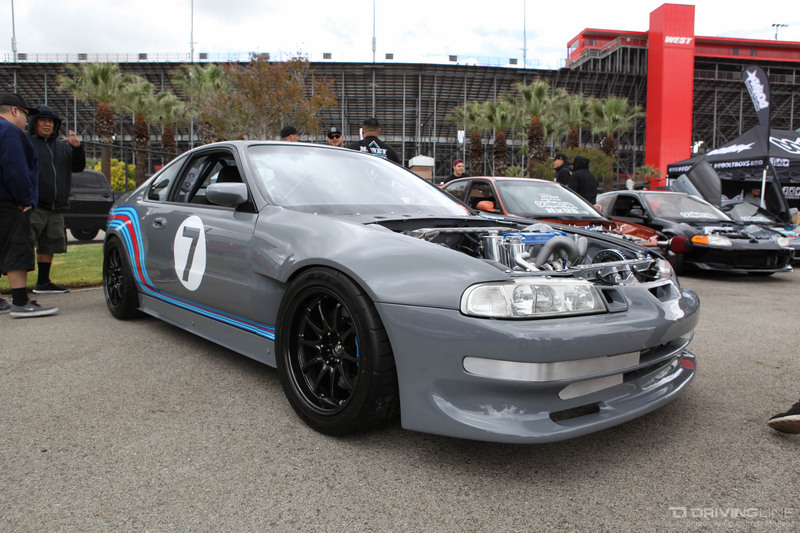 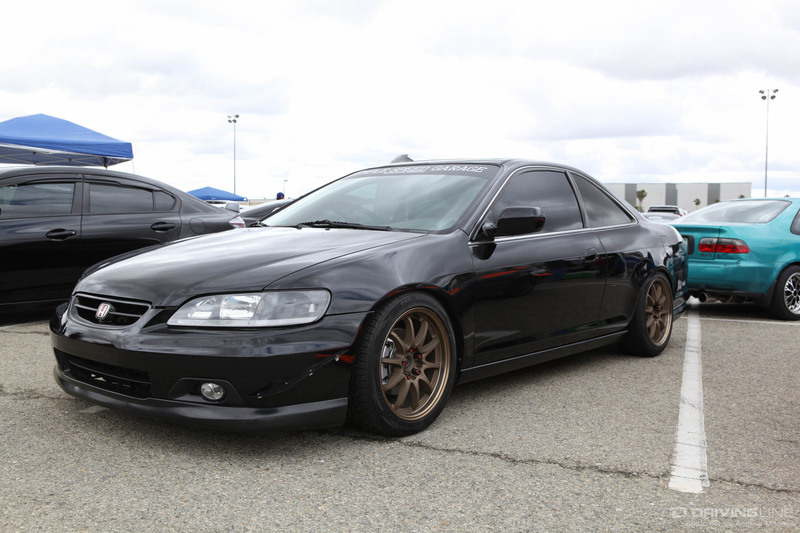 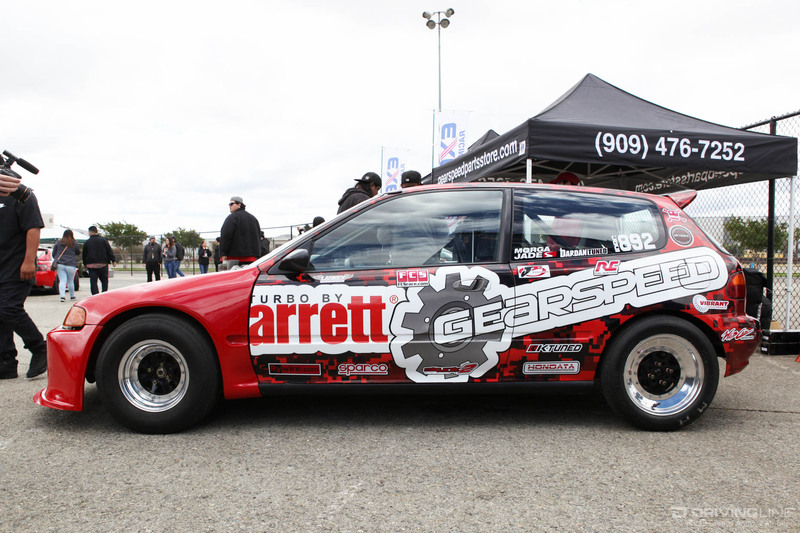 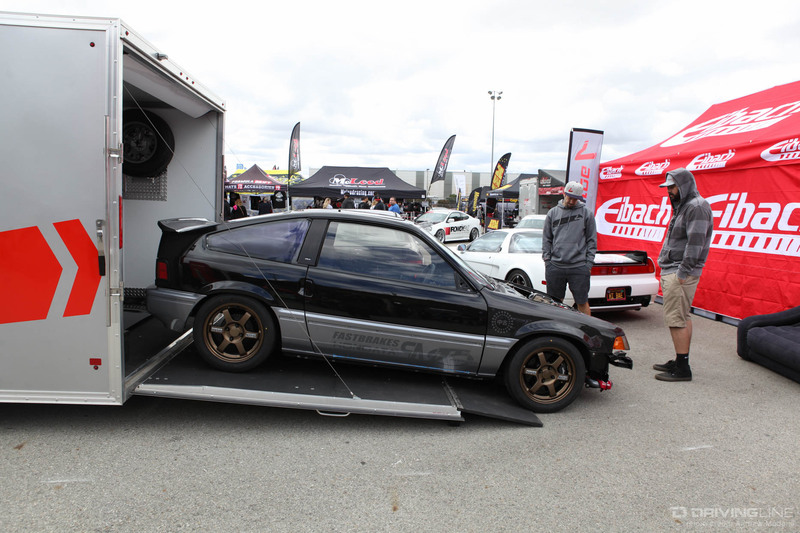 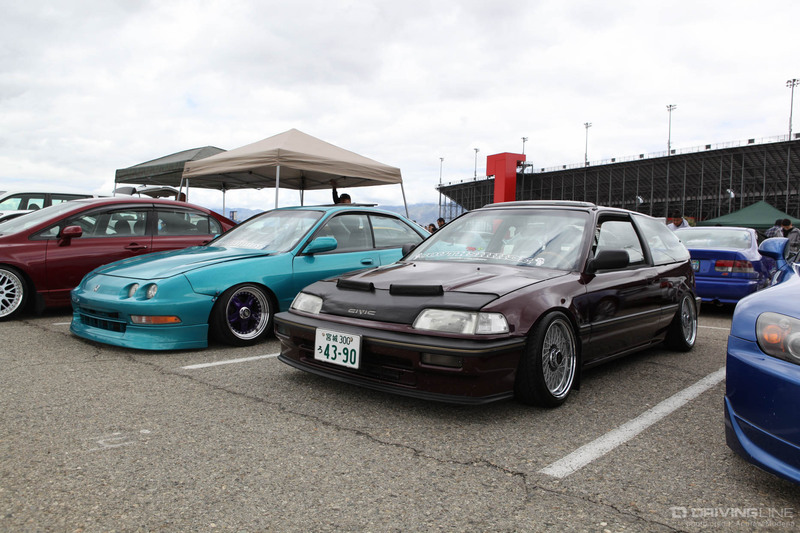 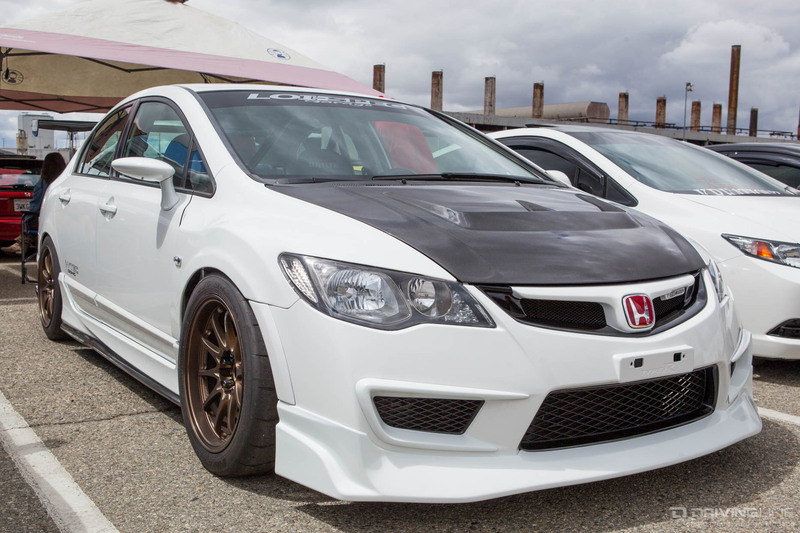 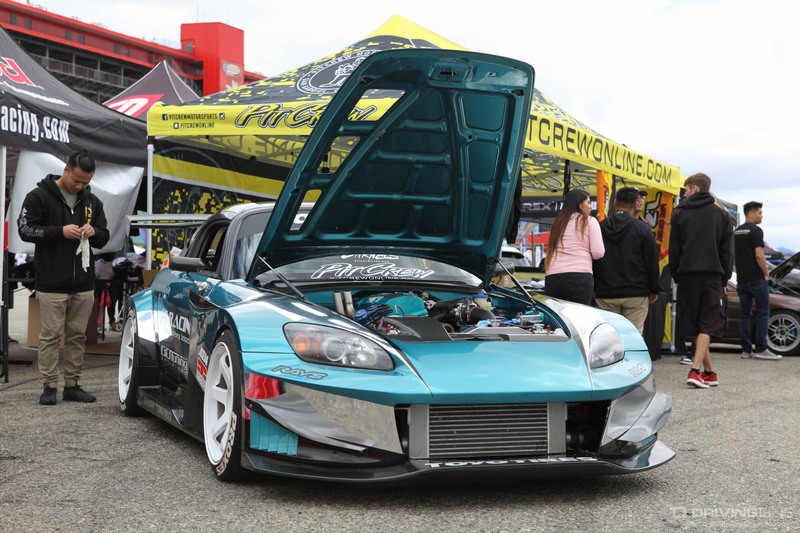 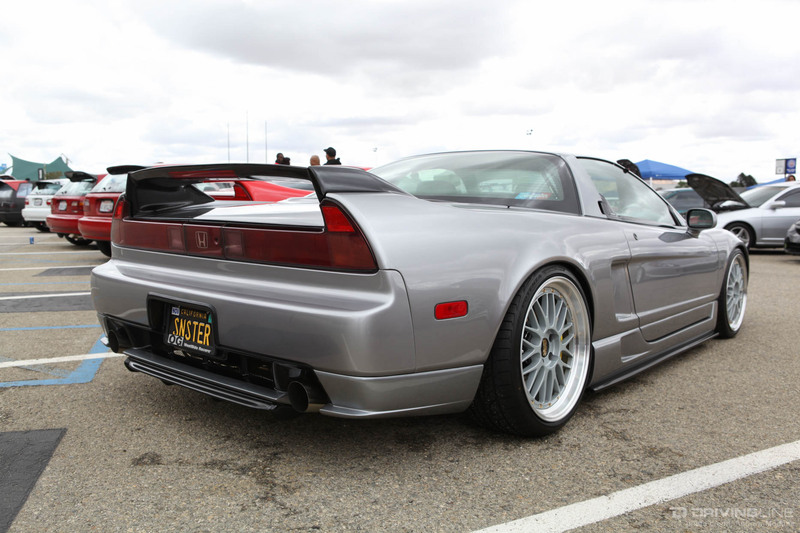 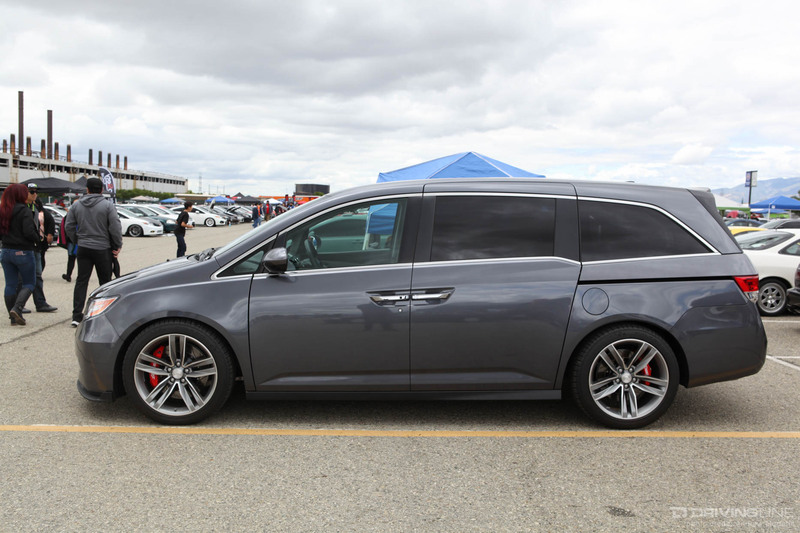 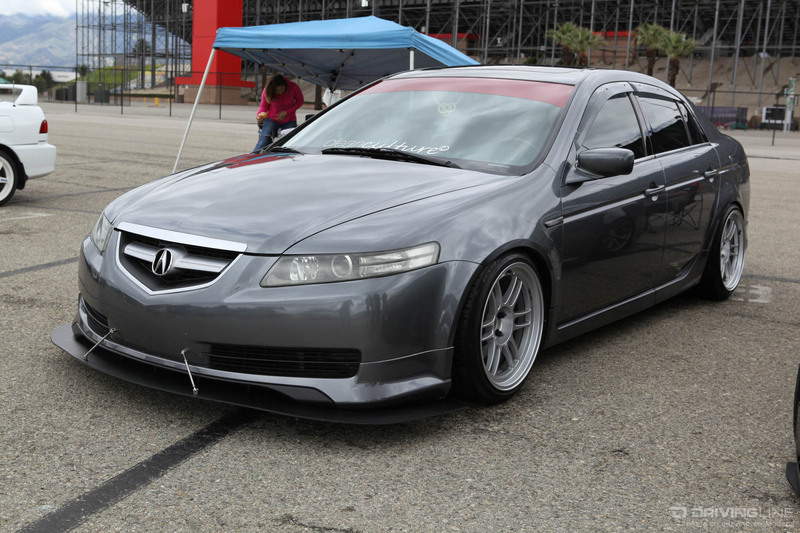 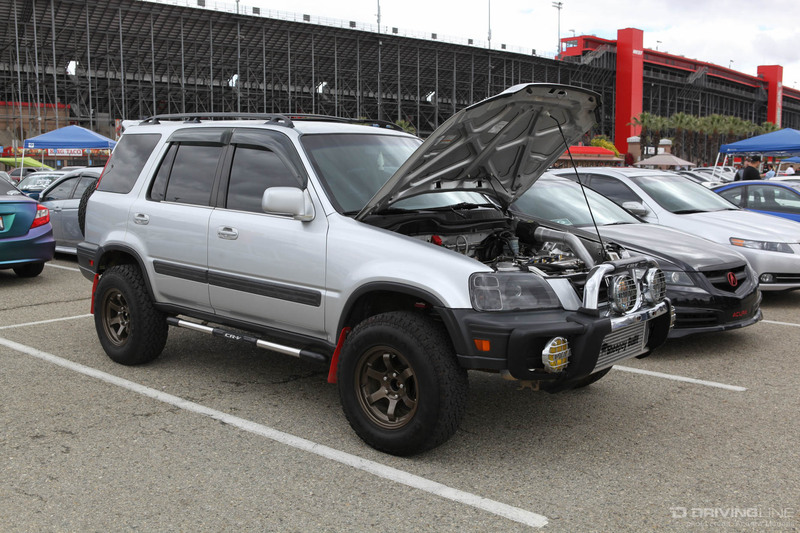 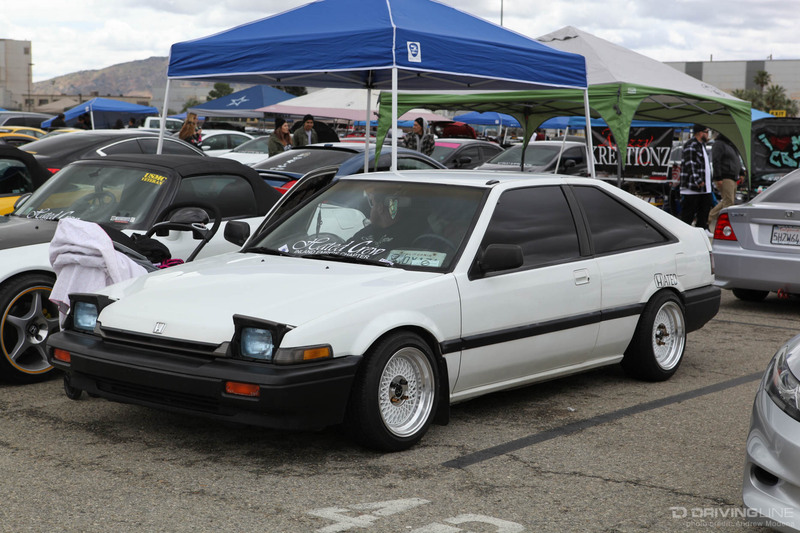 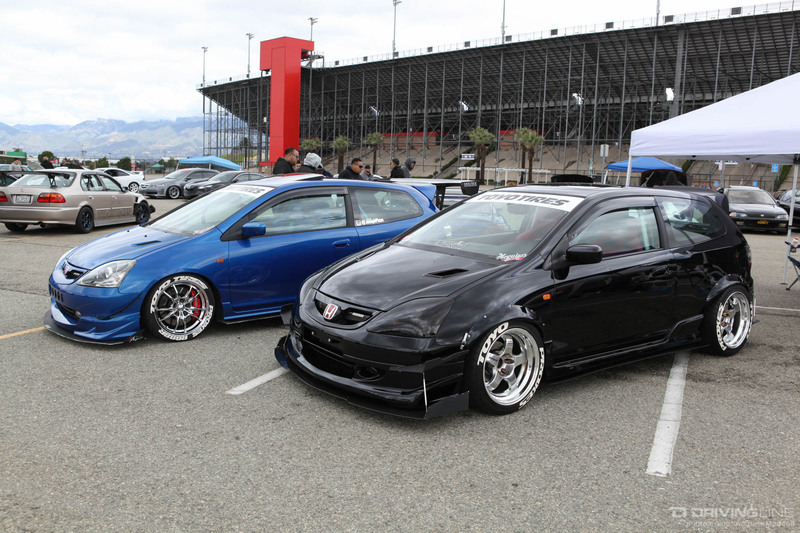 Eibach has become one of the most highly anticipated events for Honda fans, bringing out some of the finest Hondas from Southern California and beyond. 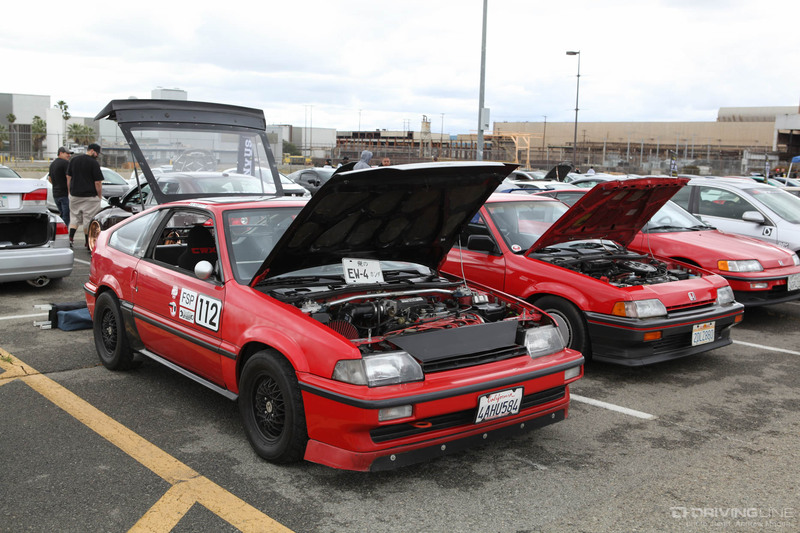 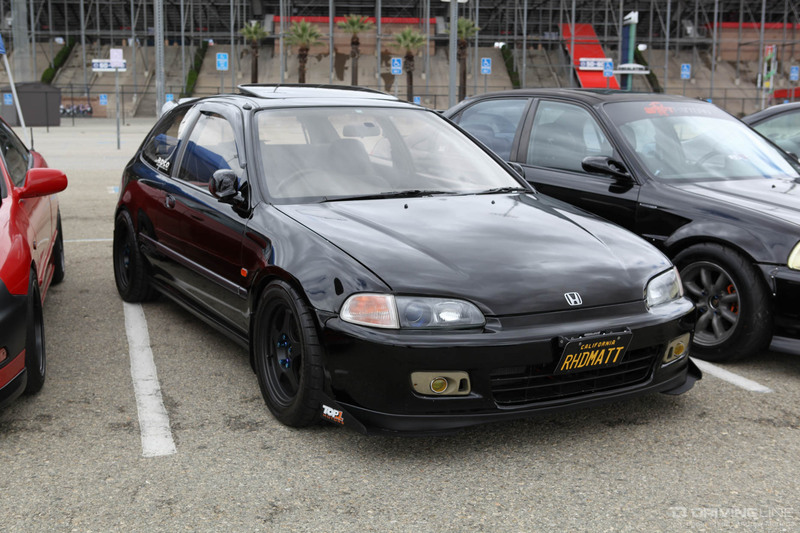 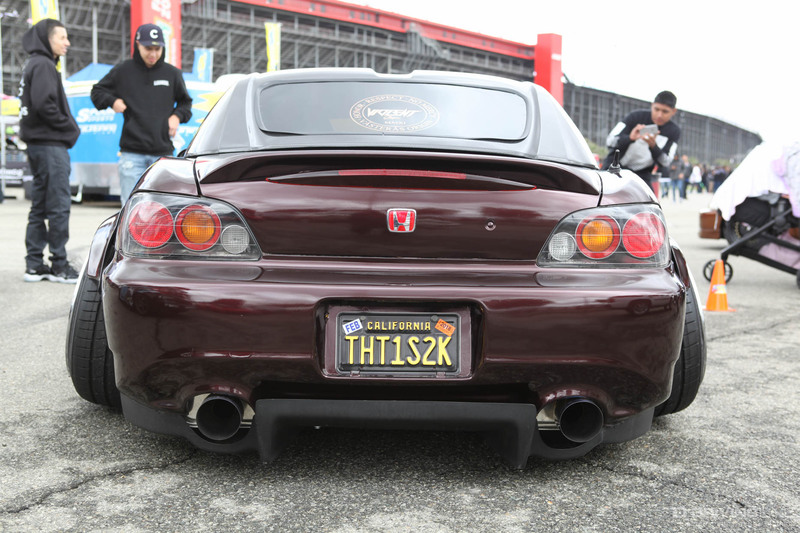 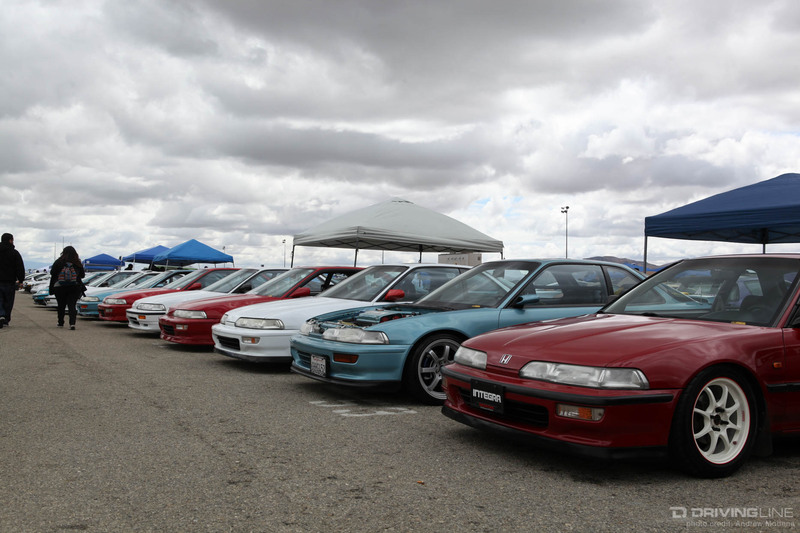 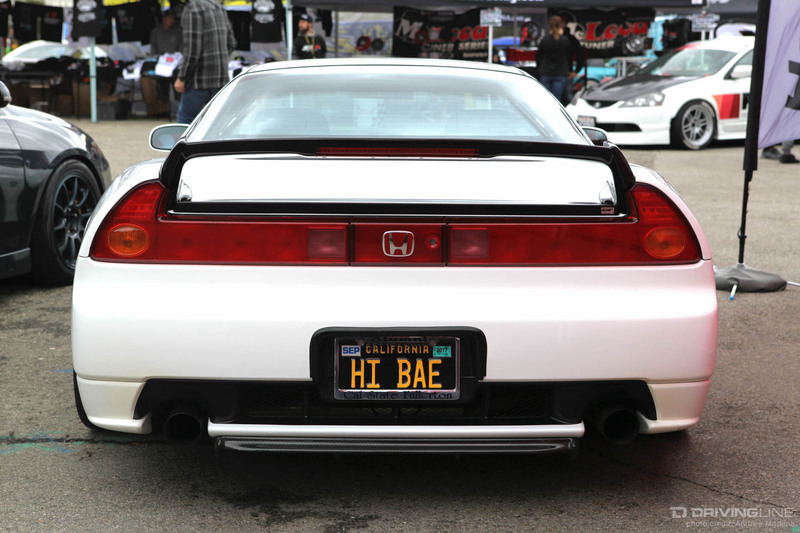 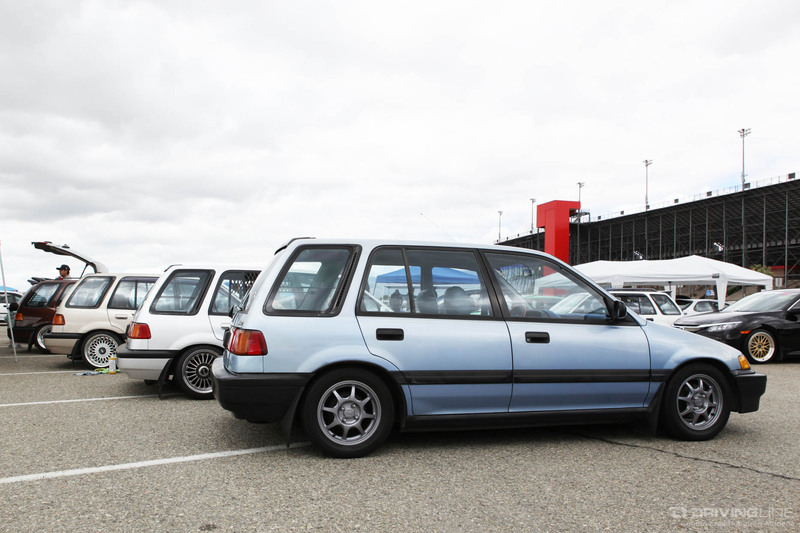 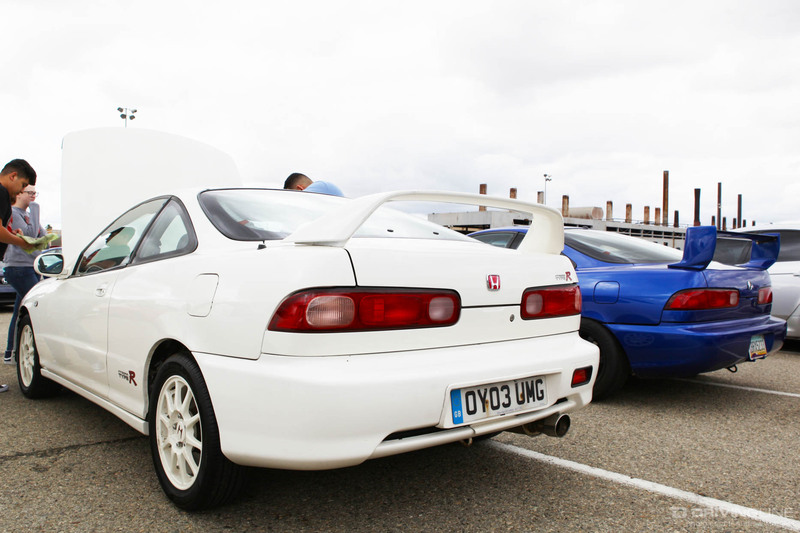 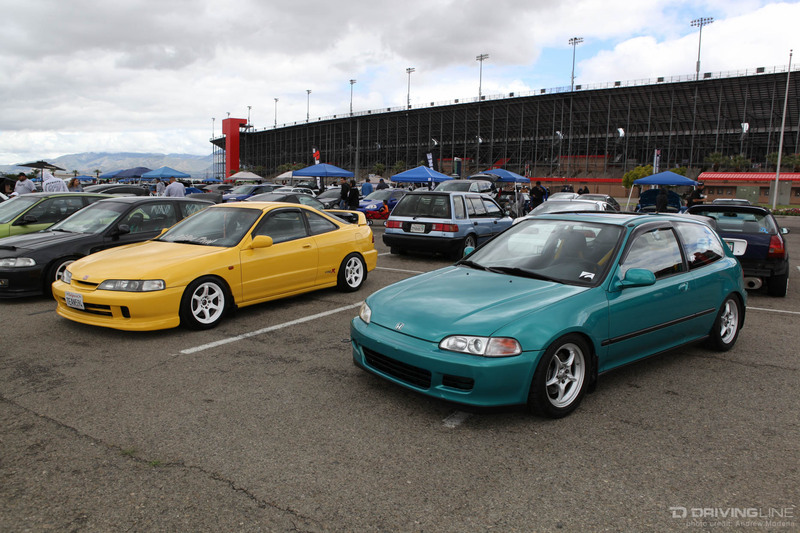 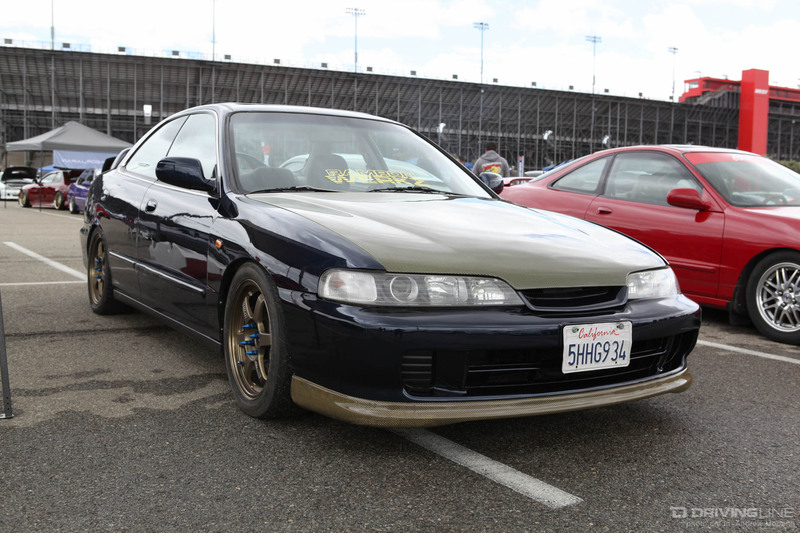 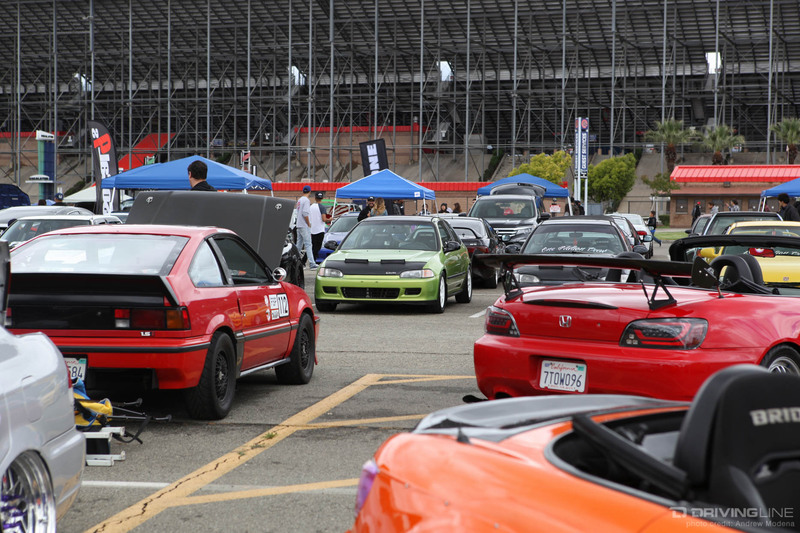 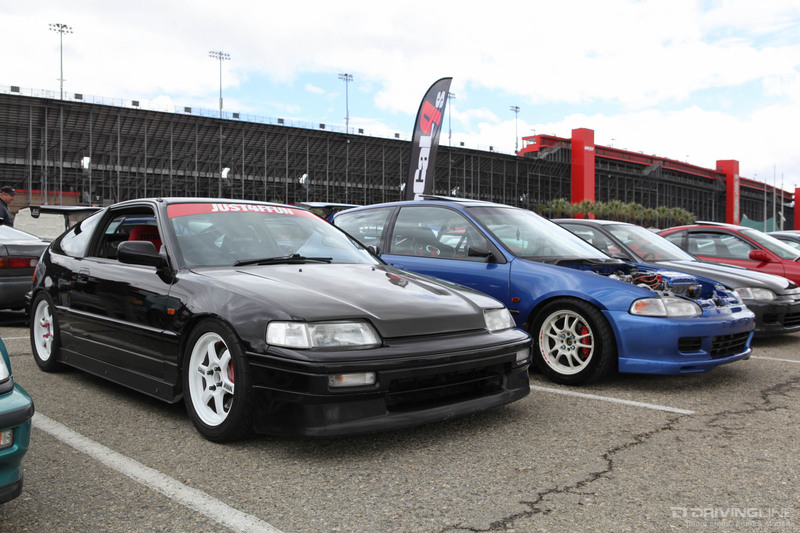 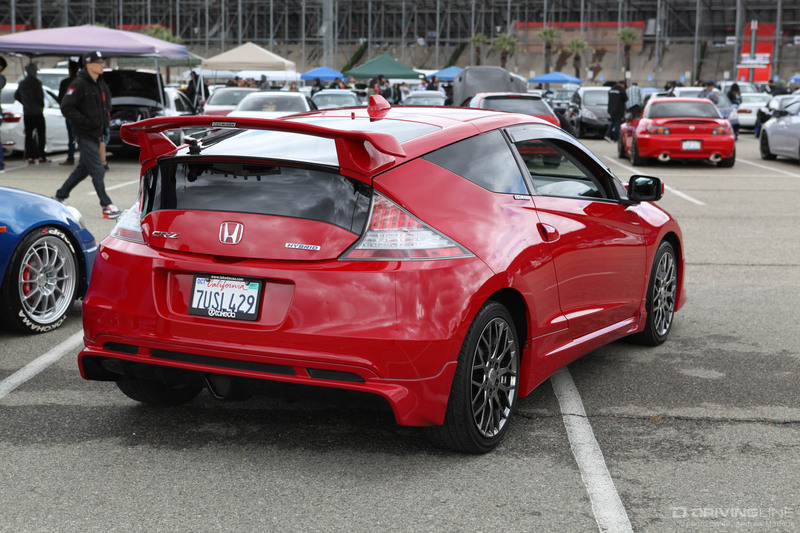 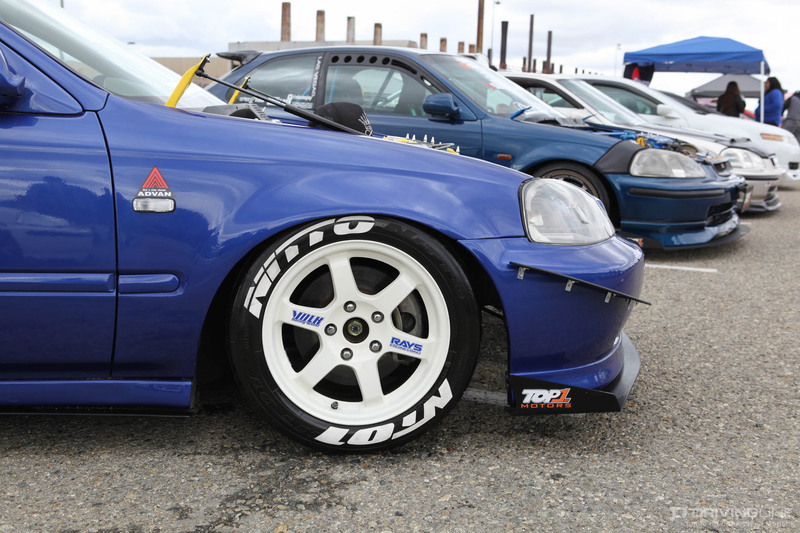 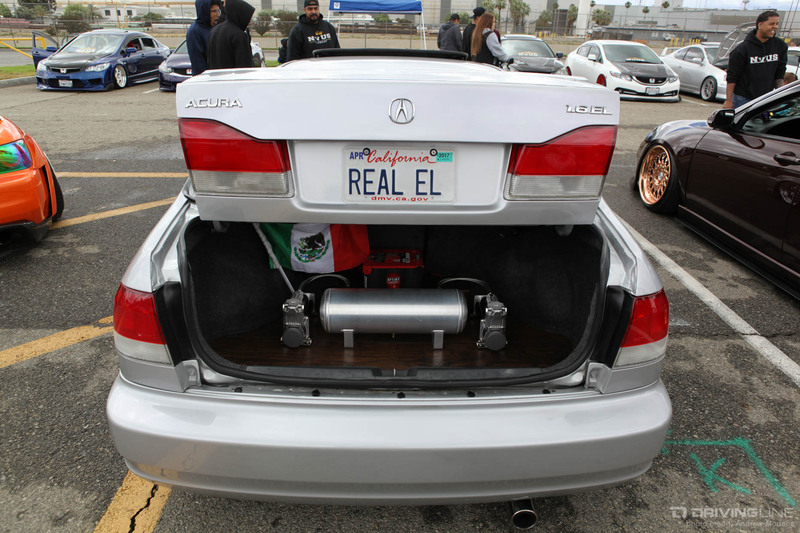 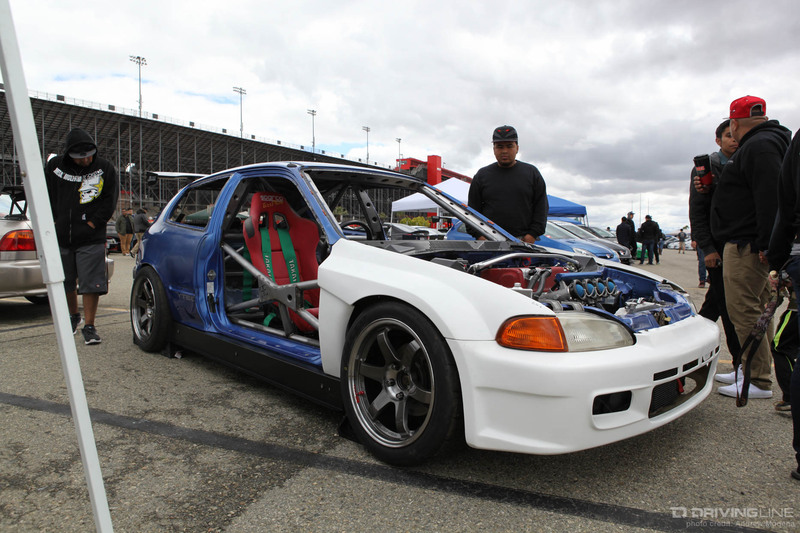 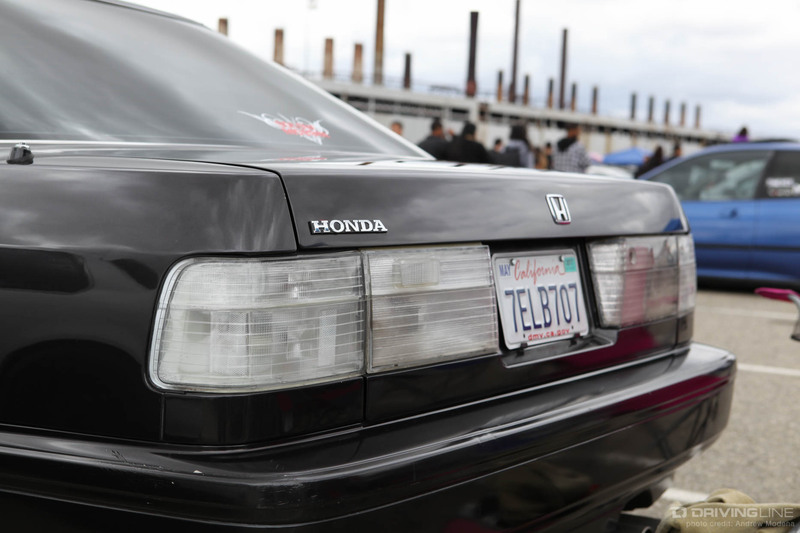 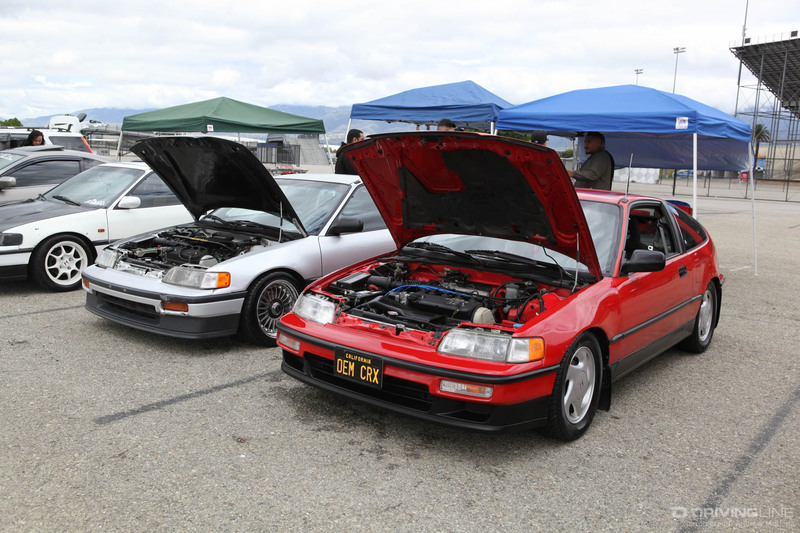 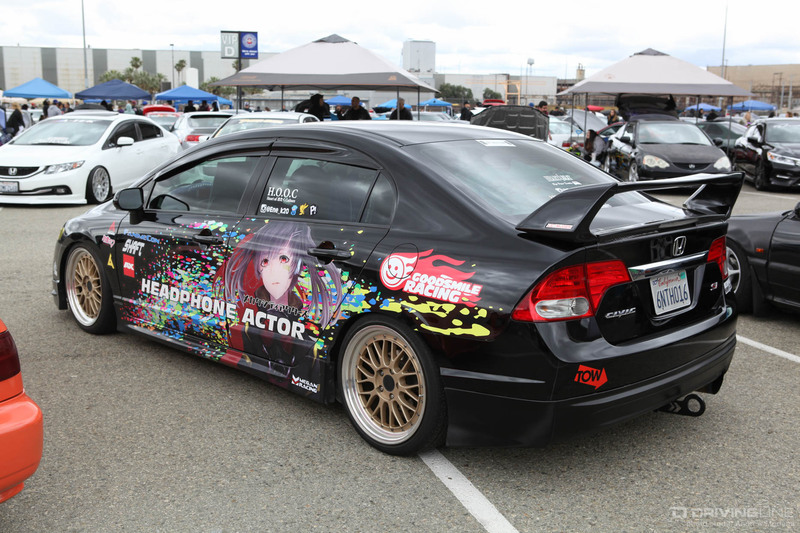 Now, 13 years later, over a thousand Hondas came together for this year’s West Coast Eibach Meet. 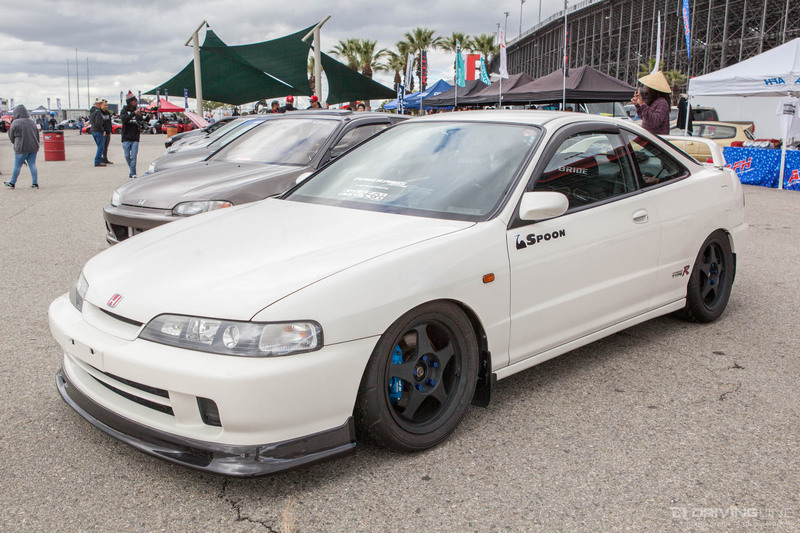 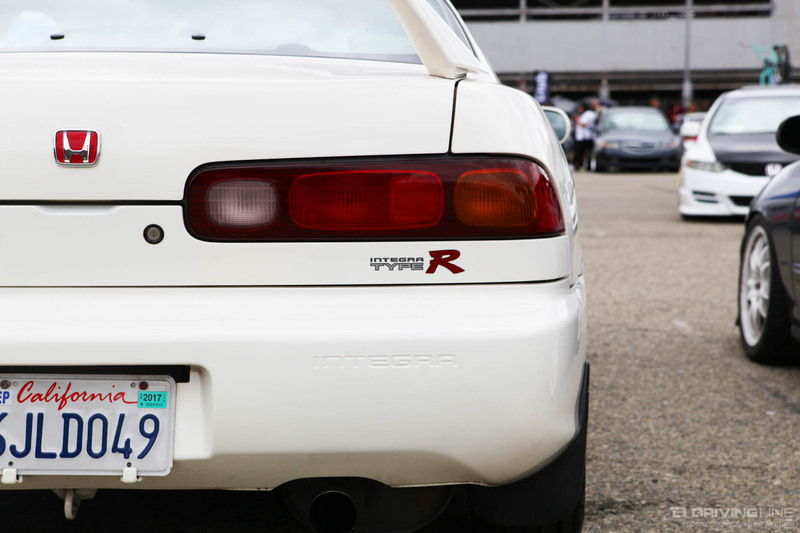 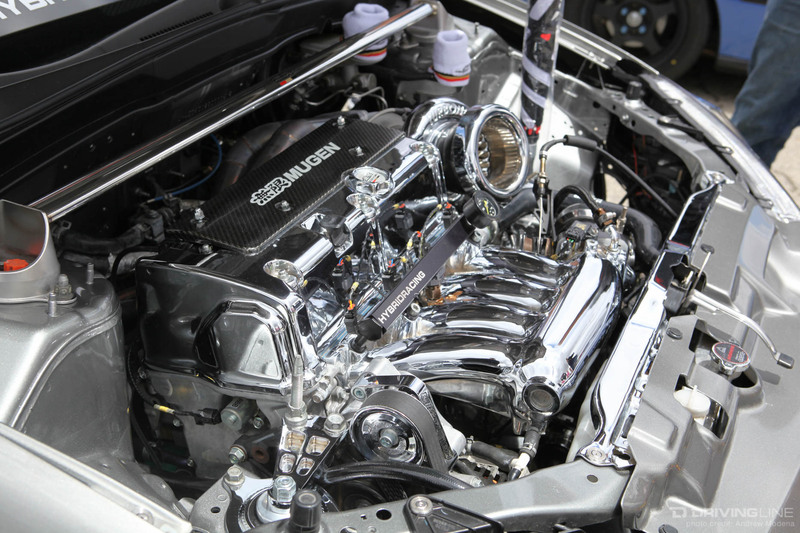 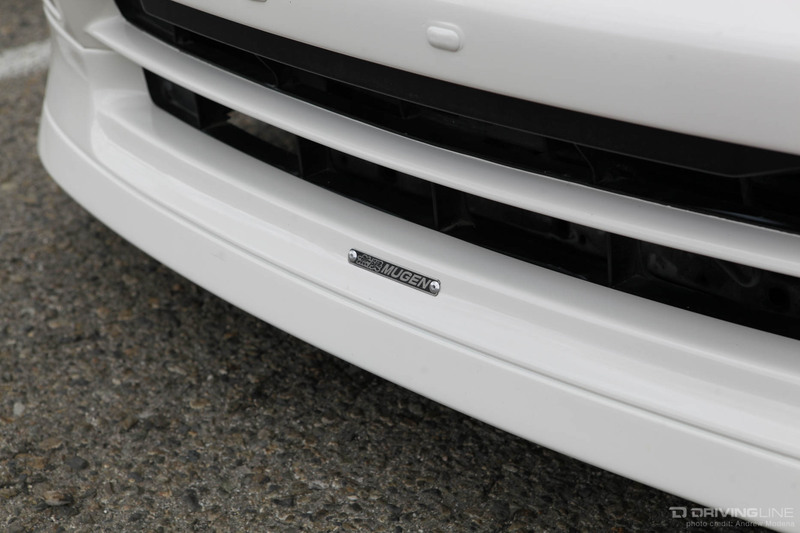 From JDM, '90s era period correct, race, VIP or a mix of all of the above, here are five types of builds you'll find at Eibach. 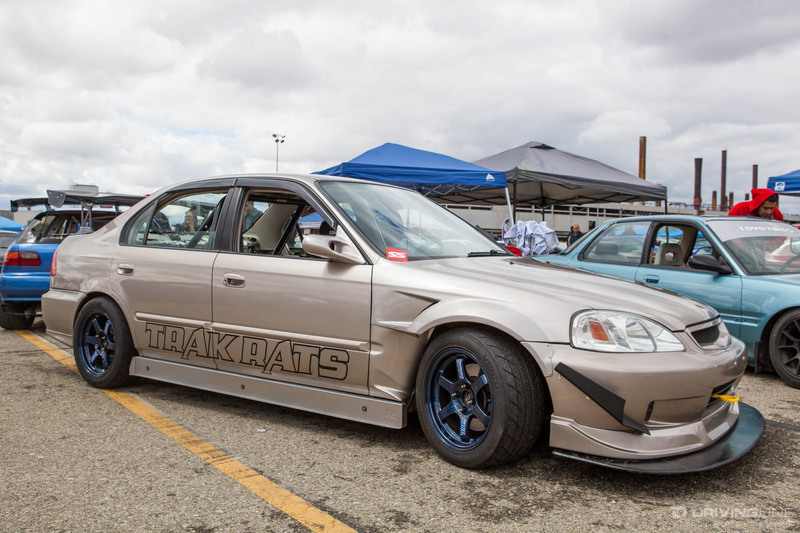 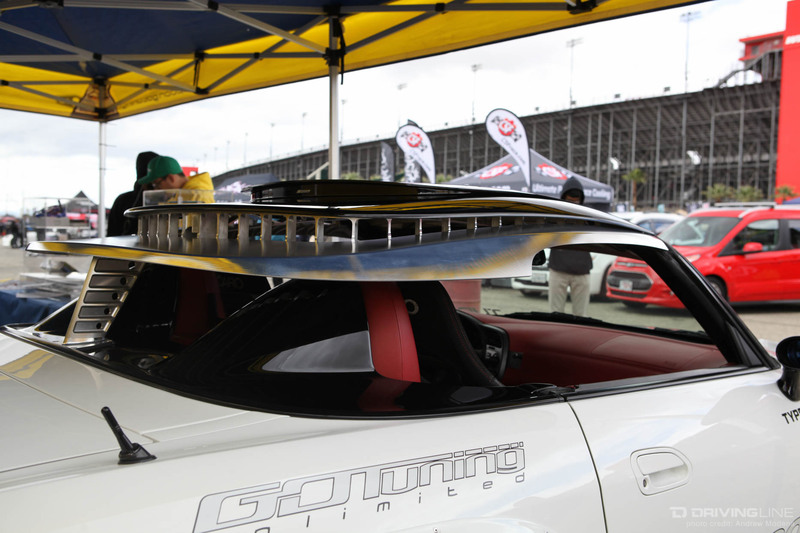 These builds take it back to the early days of tuners. 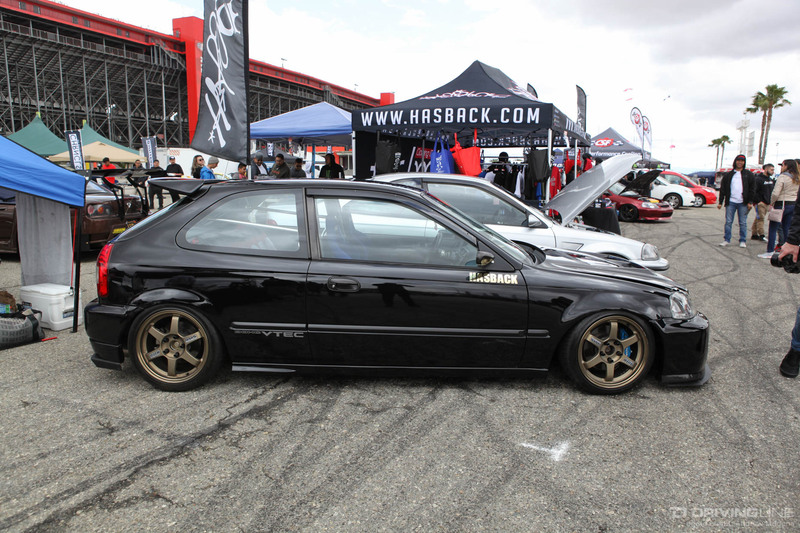 Before the days of wild body kits, replica wheels and shaved engine bays. 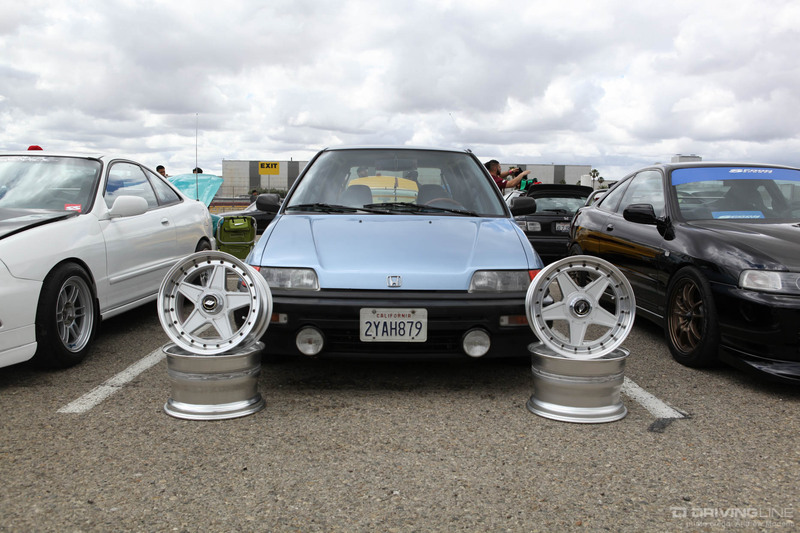 Back when you were considered a baller if you rolled on lowering springs, Mugen wheels and were able to get your hands on some basic JDM parts like one-piece headlights or a SiR front lip. 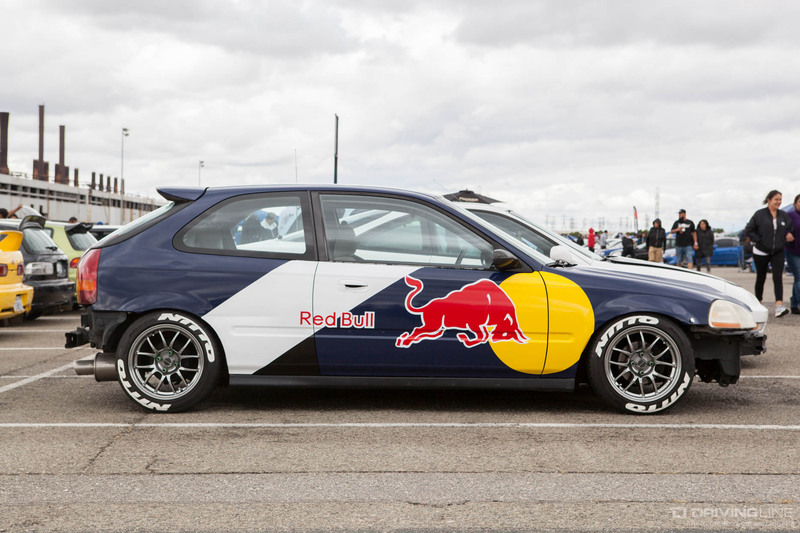 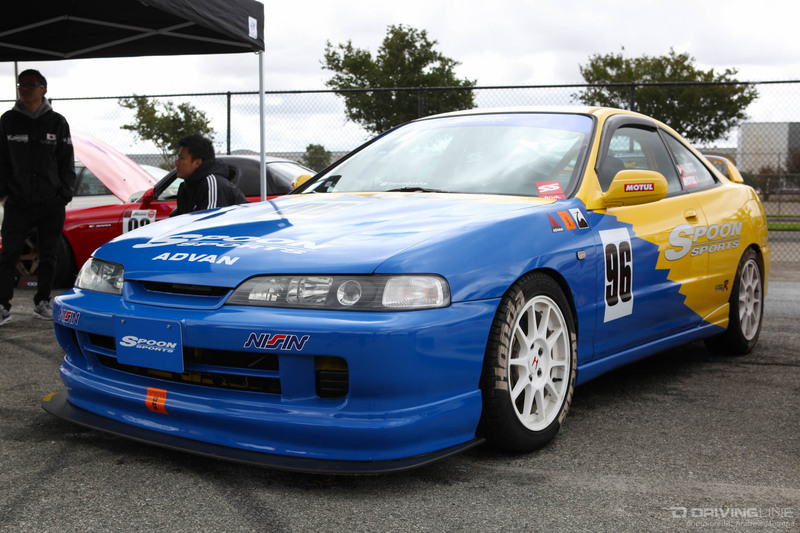 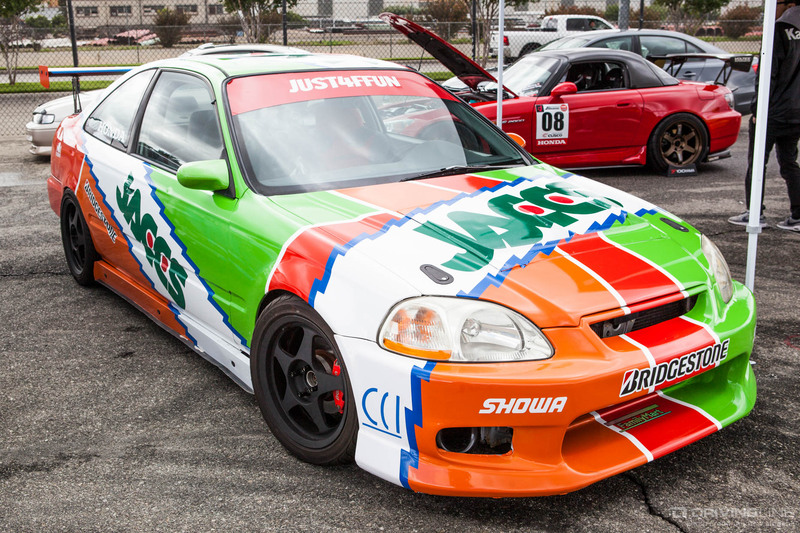 This Civic coupe sports a colorful livery inspired by the JACCS Accord which raced in the Japanese Touring Car Championship during the '90s. 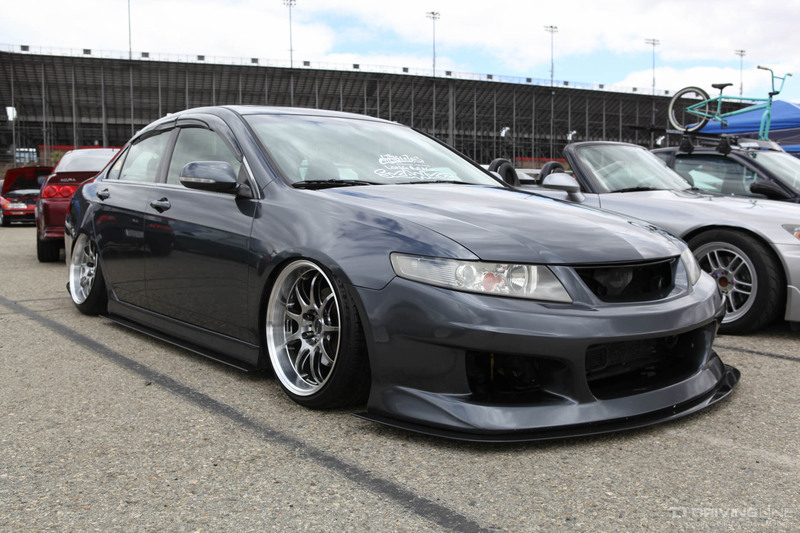 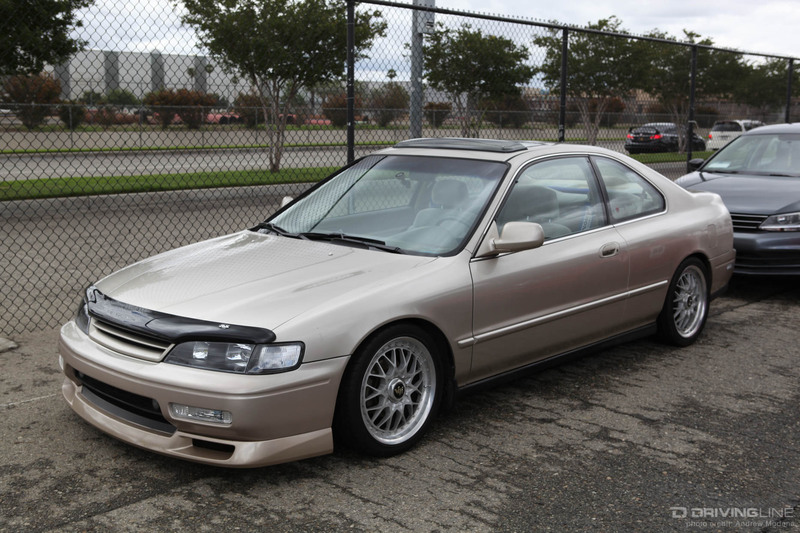 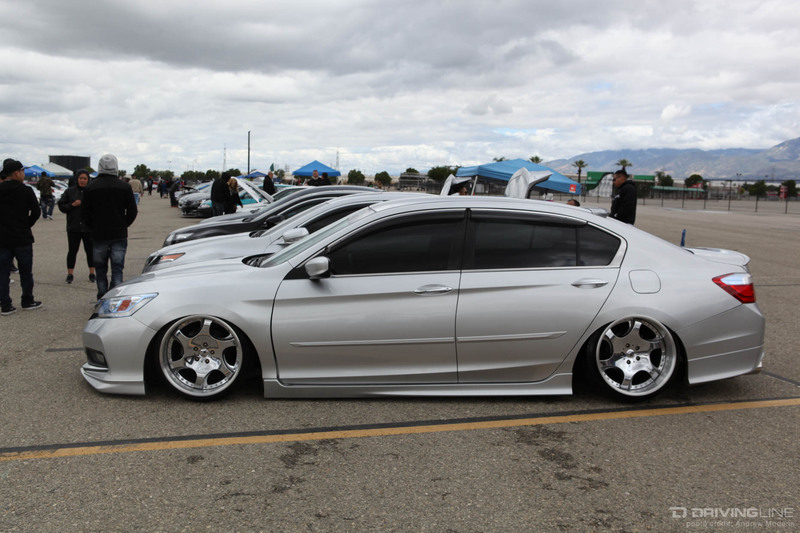 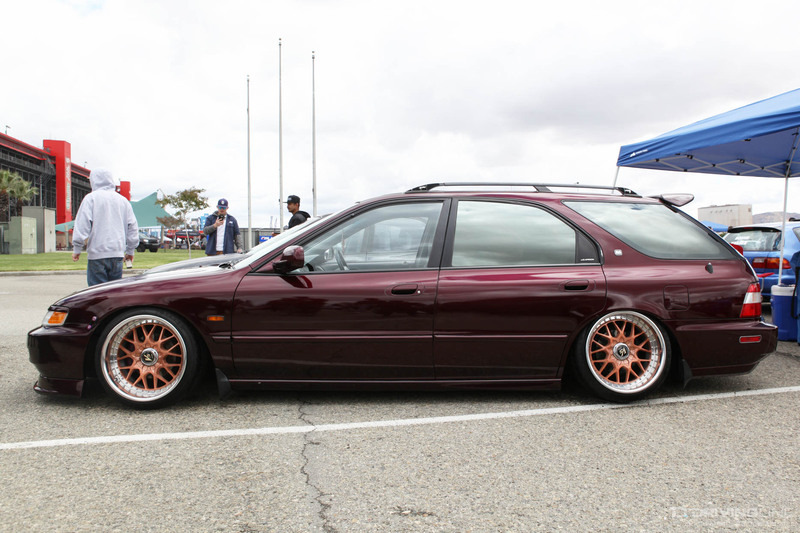 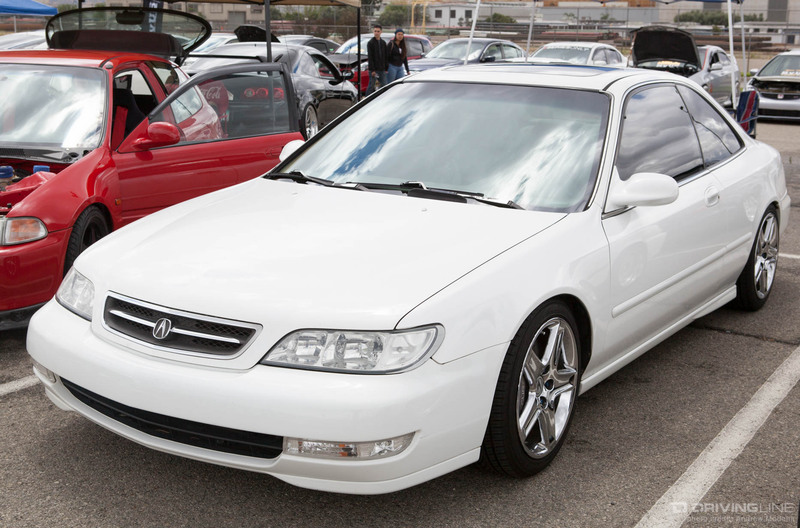 This Accord is a perfect example of what you would see roaming the streets of SoCal in the late '90s. 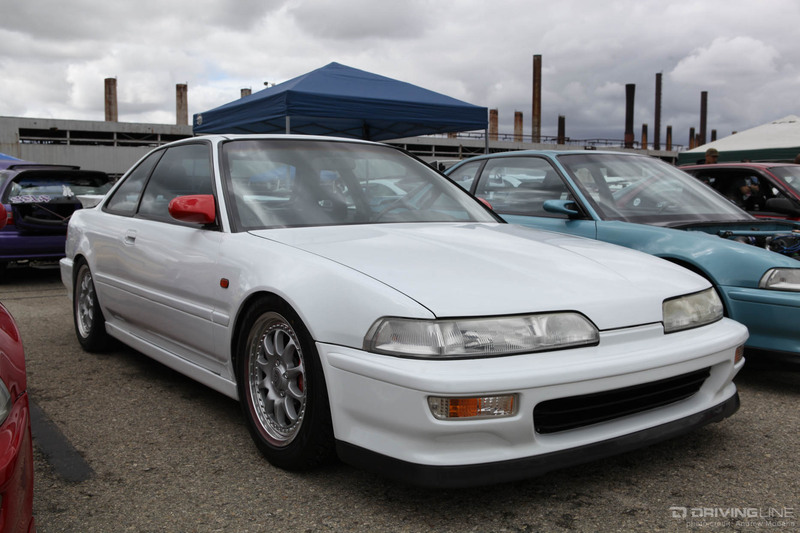 Slightly lowered with a GReddy front lip, JDM headlights, clear rear taillights and a set of Volk III's — this wouldn't get a second glance by today's standards, but it would've broken necks back then. 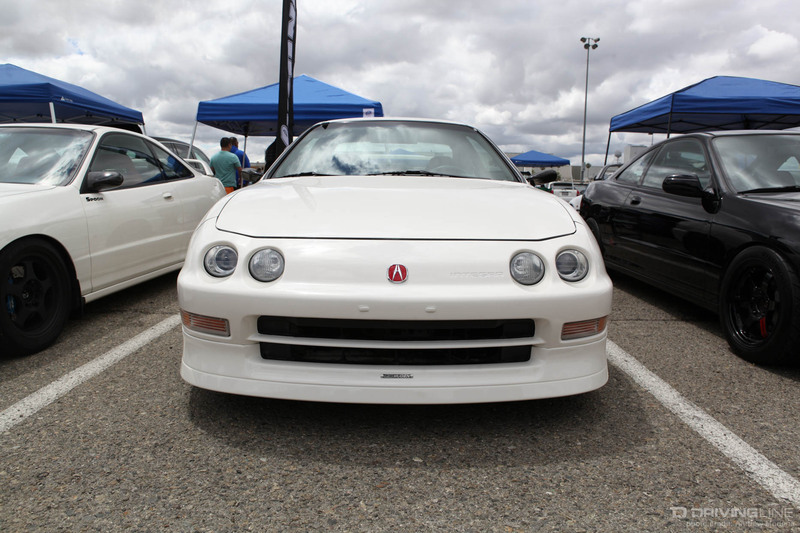 As years go by, JDM, Mugen and Spoon parts continue to get rarer and more expensive, but there was no shortage of them at Eibach. 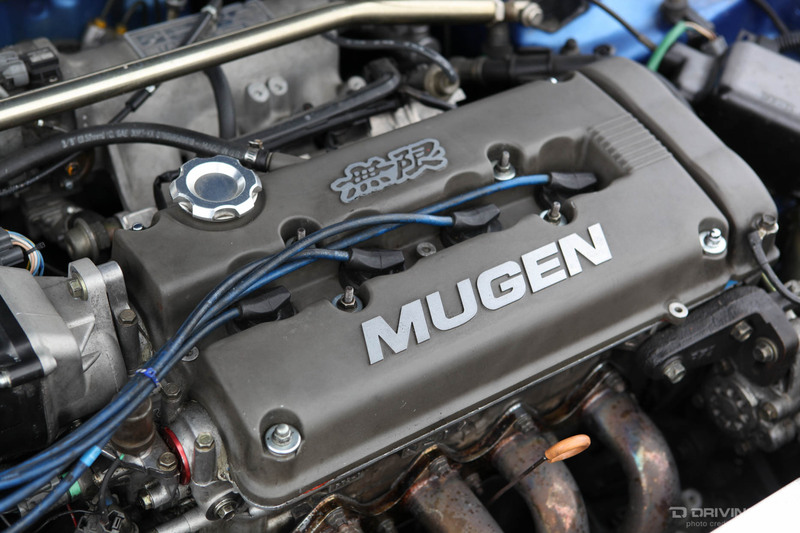 Parts like this Mugen B-series valve cover currently go for around $800. 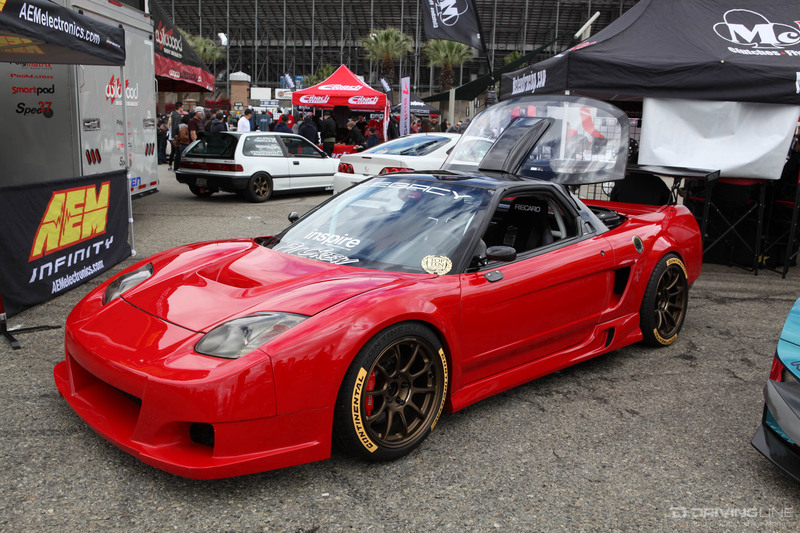 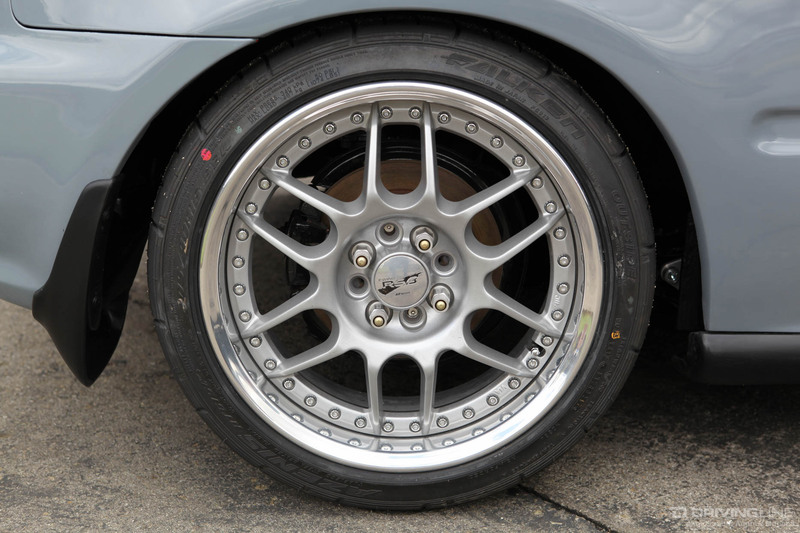 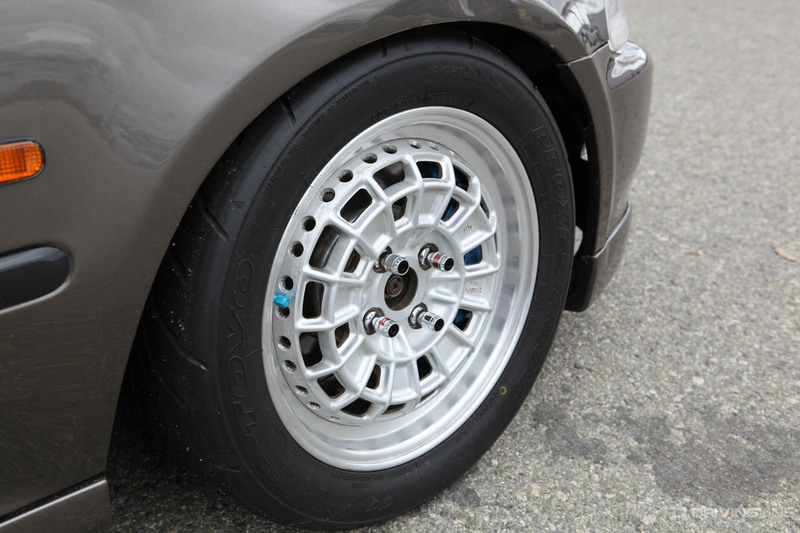 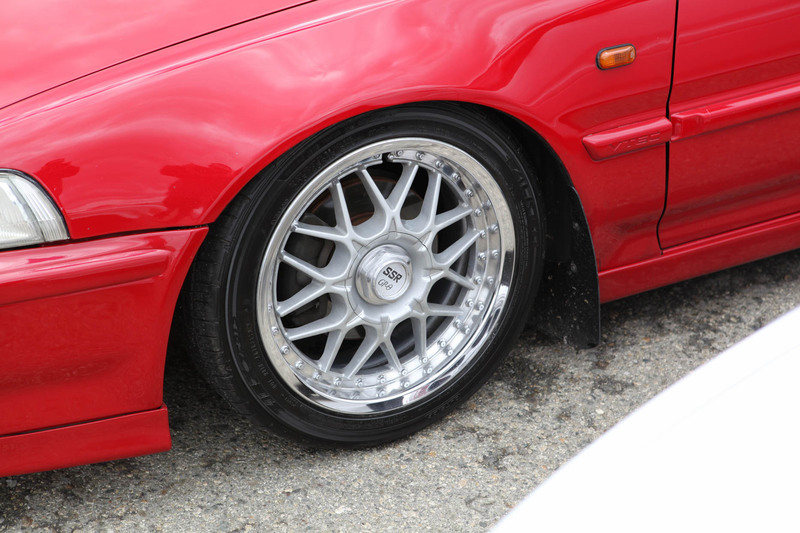 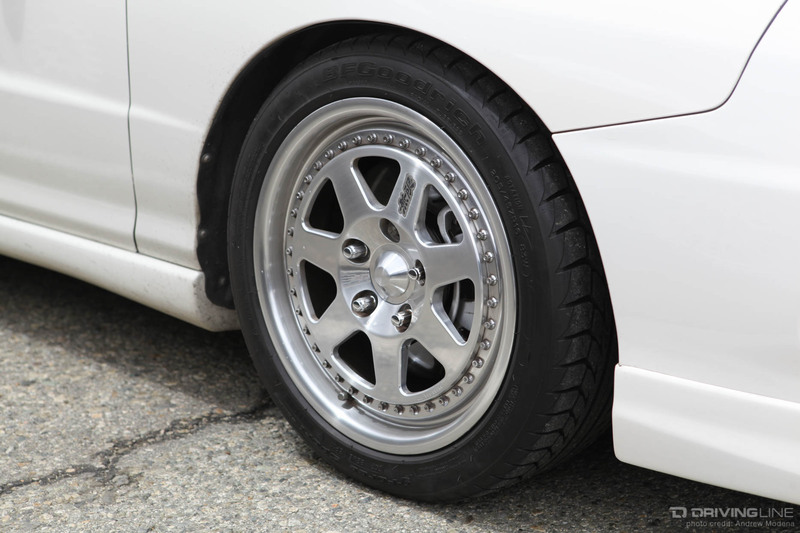 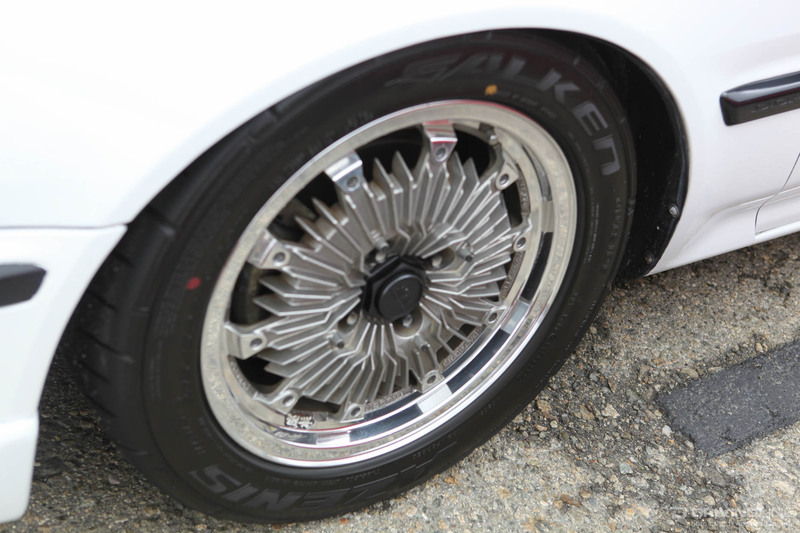 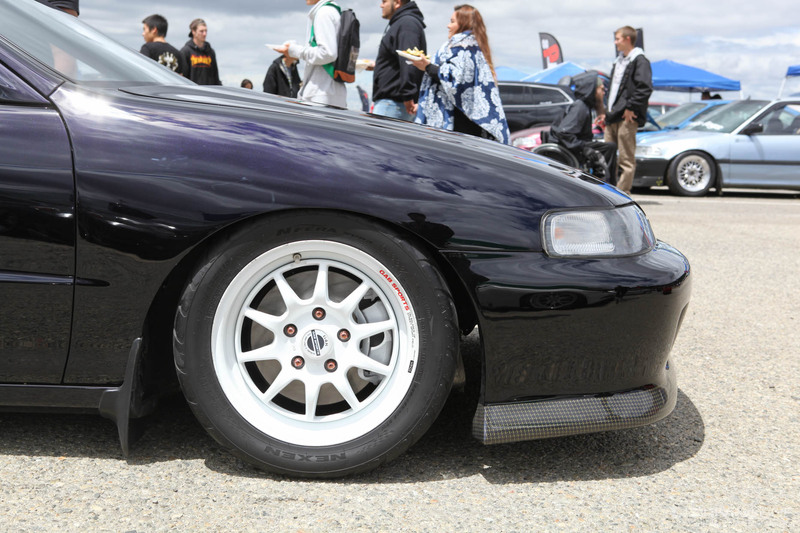 A rare set of NSX-spec Mugen M7 wheels were recently seen for an asking price of $10,500! 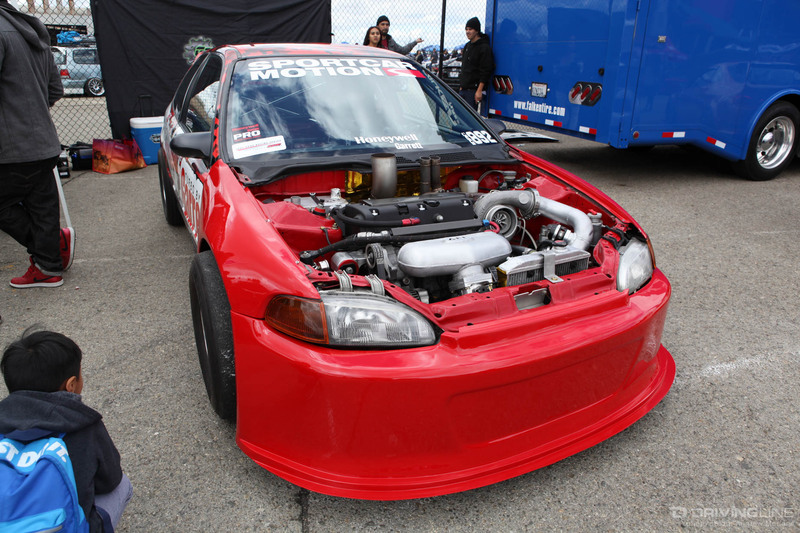 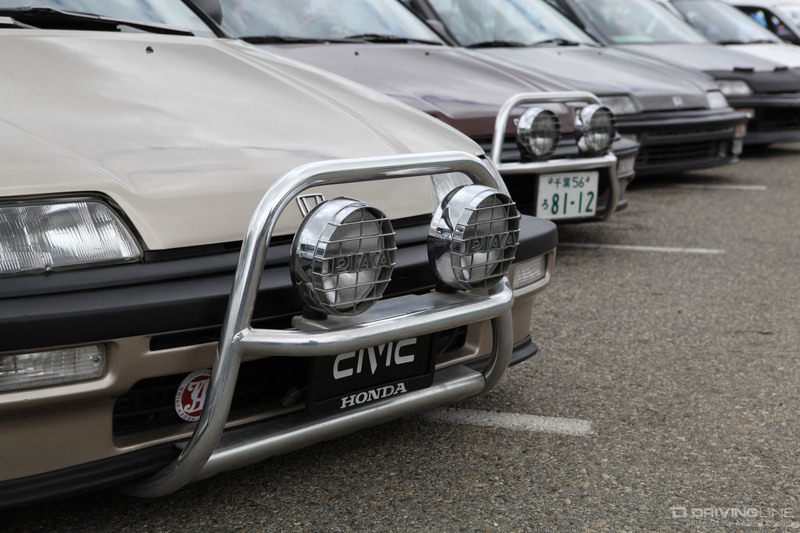 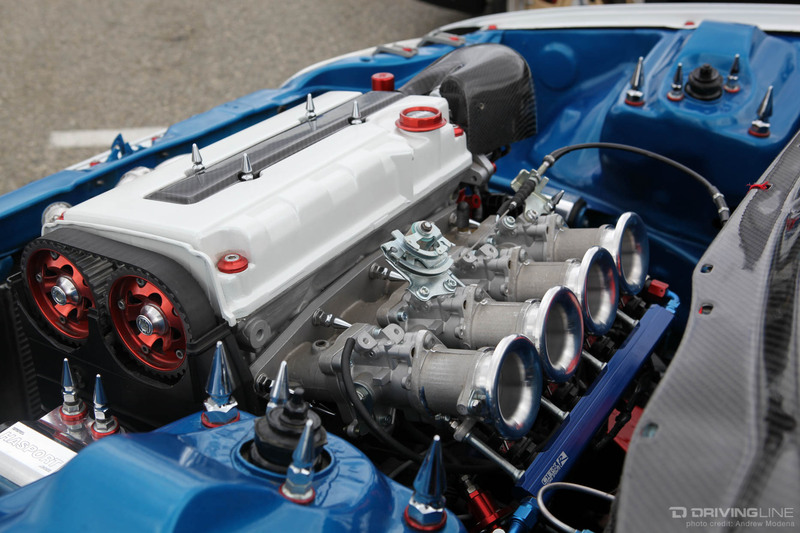 A popular choice for racers due to their lightweight, high revving motors and abundance of aftermarket support, Hondas continue to be a top choice for competitors in drag and road racing. 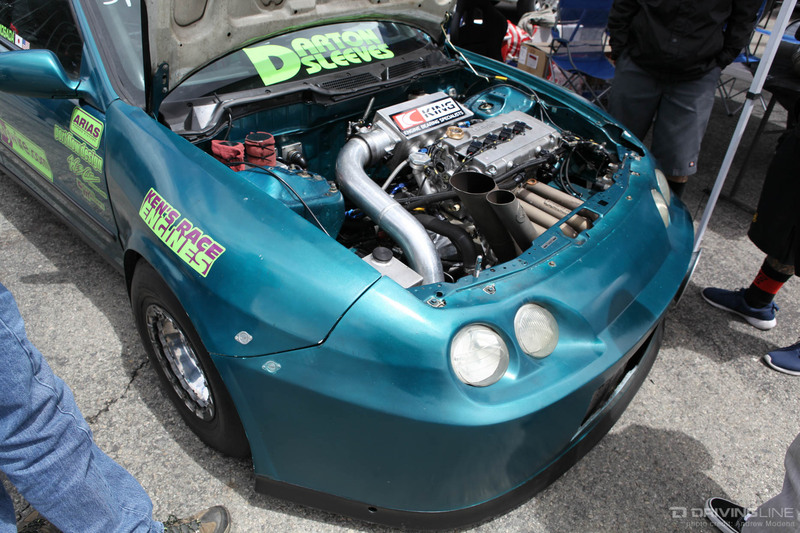 Stuffing a bigger motor in a lighter chassis has long been a solution to the issue of "there's no replacement for displacement." 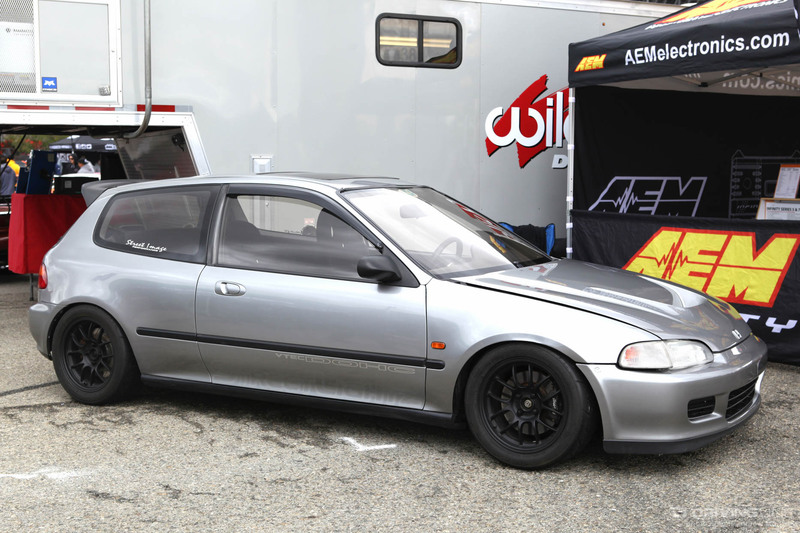 This EG chassis Civic more than doubled its stock horsepower by shoehorning a 3.2-liter V6 from the Acura TL. 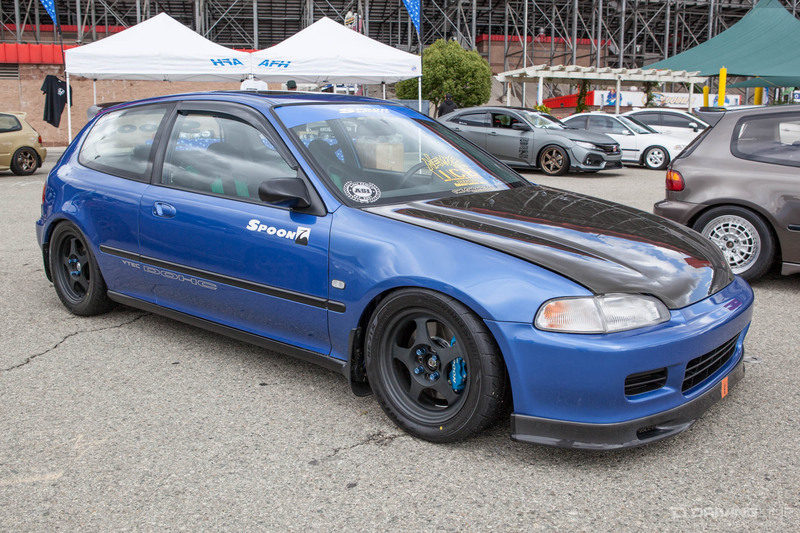 Like it or not, these are some of the most creative builds you’ll find. 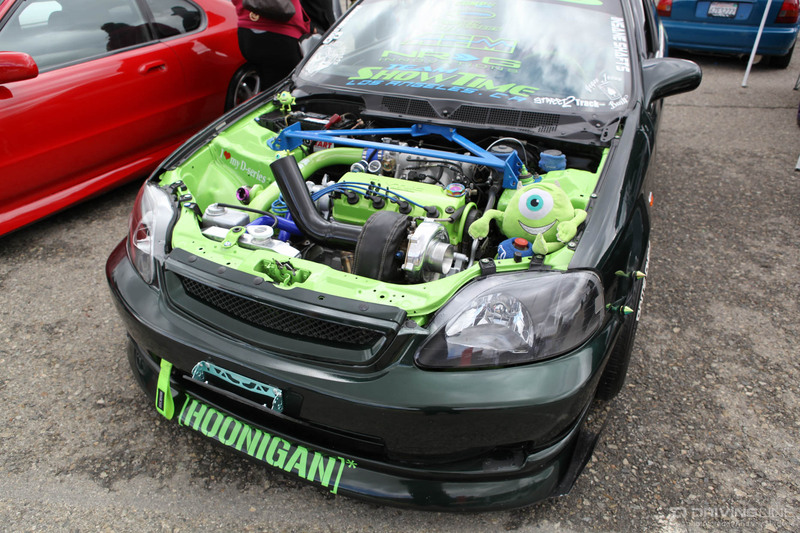 Though some may argue their execution is questionable, you have to give these owners credit for working with what they have. 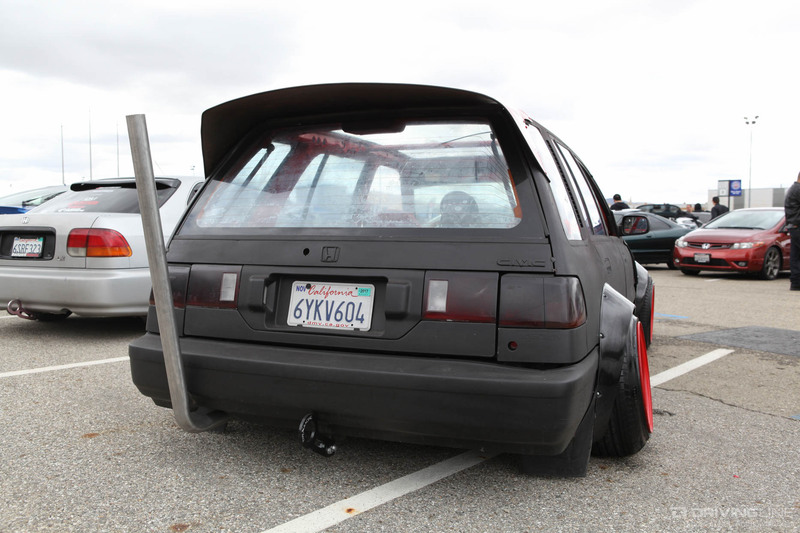 While some might think the car is broken, it is actually the owner pushing their car to the extremes of negative camber and "moar low." 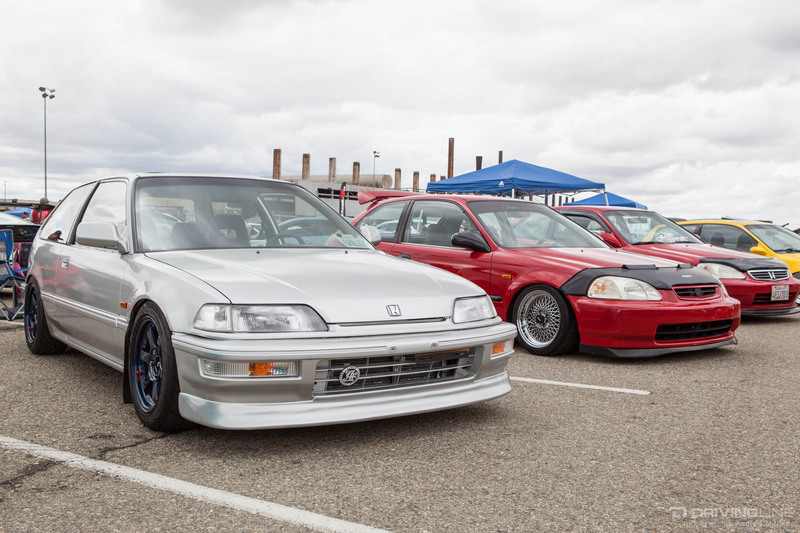 Newer Hondas may not have the aftermarket support of older generations, but that doesn't stop some. 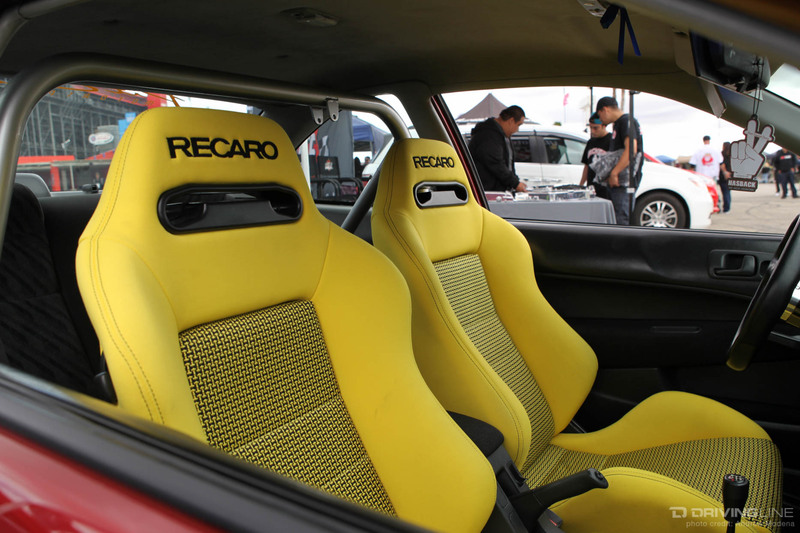 This Civic owner was quick to throw on some TE37s and Recaro seats. 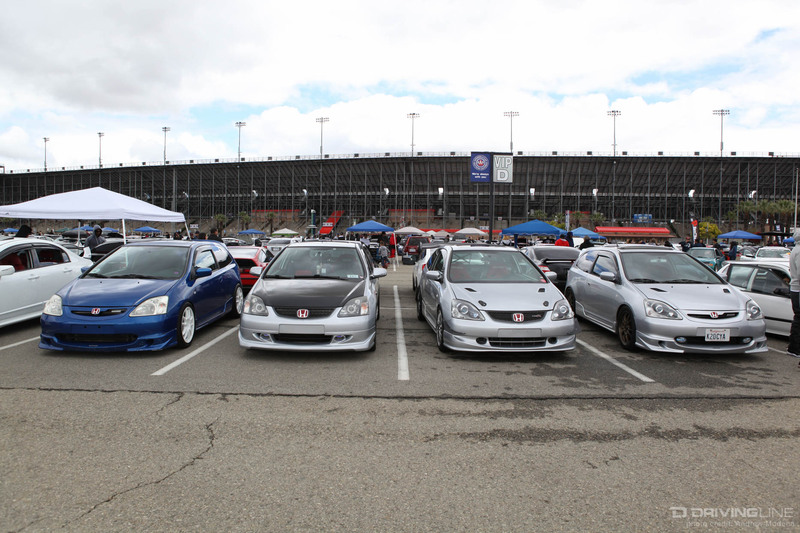 Here we see a row of well built TSXs. 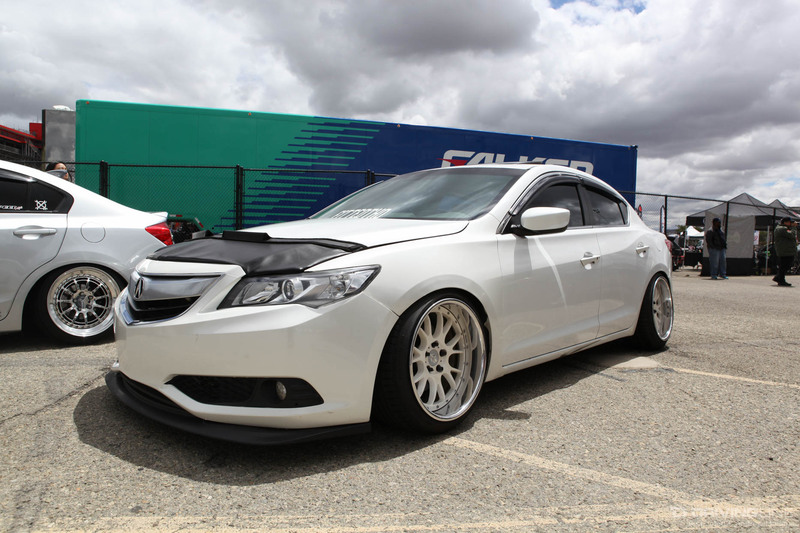 Look past the Mugen bumper on the TSX wagon, and you can spot a CT Engineering supercharger peeking through the engine bay. 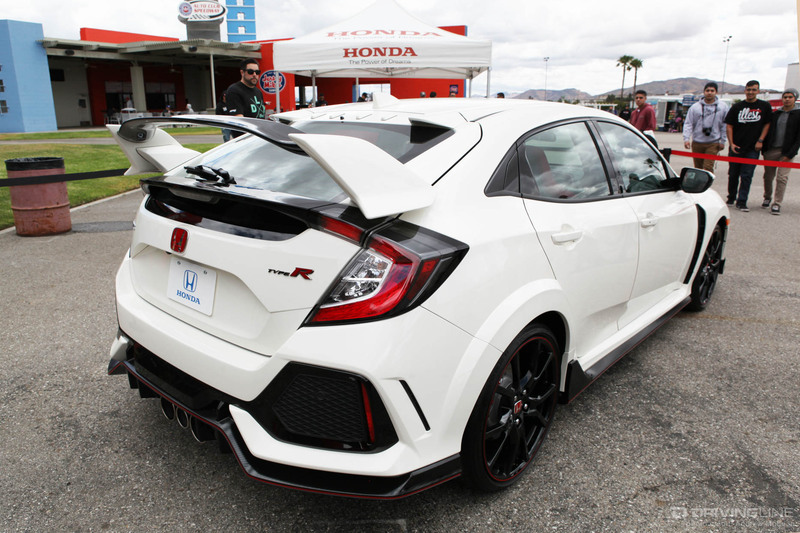 Honda also teased us with a preview of the upcoming 2018 Civic Type R. Can't wait to see what people do with these once they come stateside. 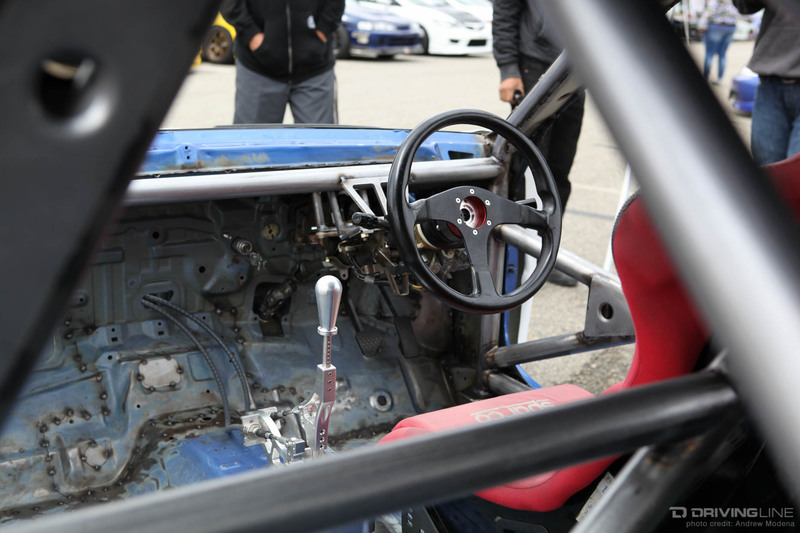 Lift the Lambo doors, and you'll find a race-inspired stripped and caged interior. 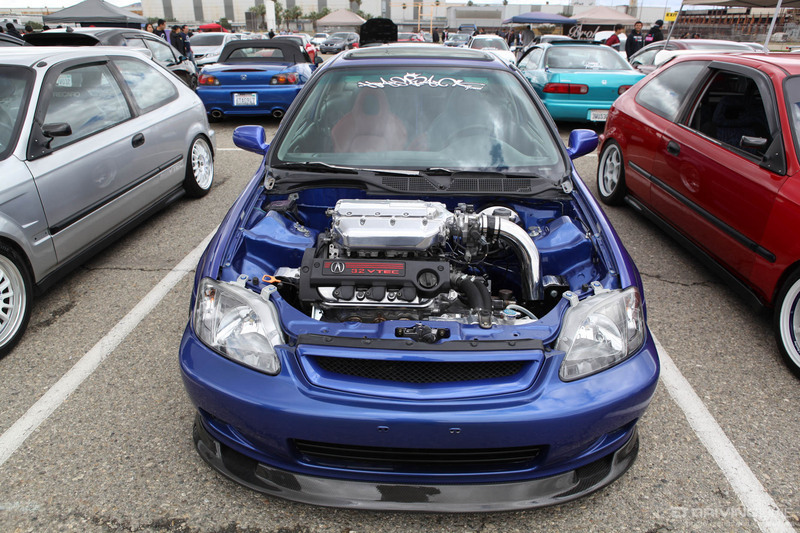 In the middle of the shaved and painted engine bay was a K-series swap. 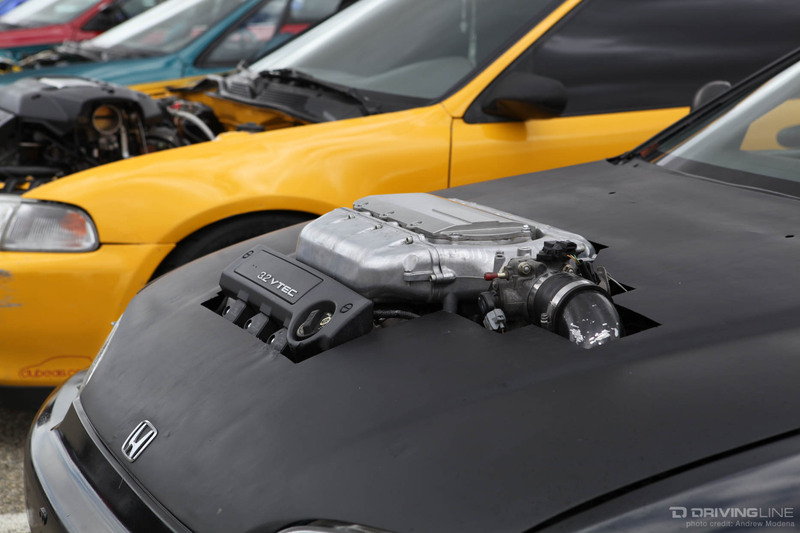 Were there any types of builds not featured in this article? 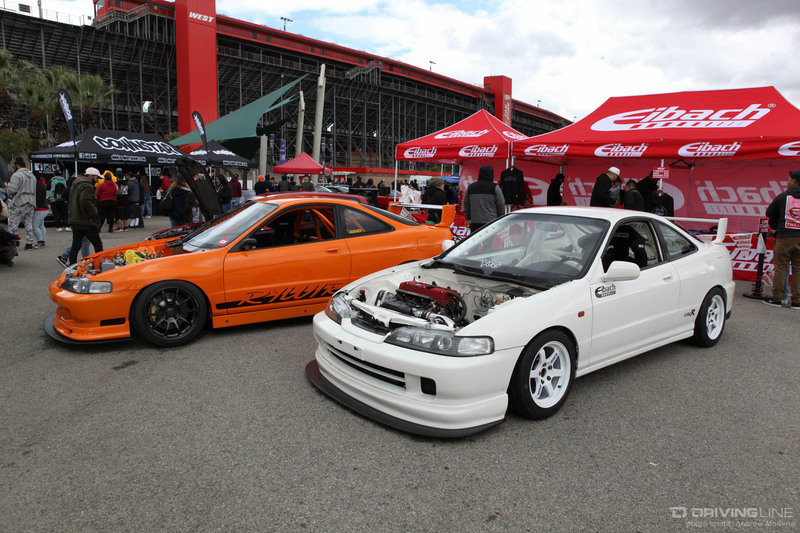 Let us know in the comments below and see more of Eibach’s finest in the photo gallery below.